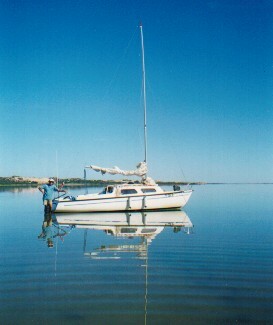 Blue Rhapsody: Bruce McIntosh's RL24. 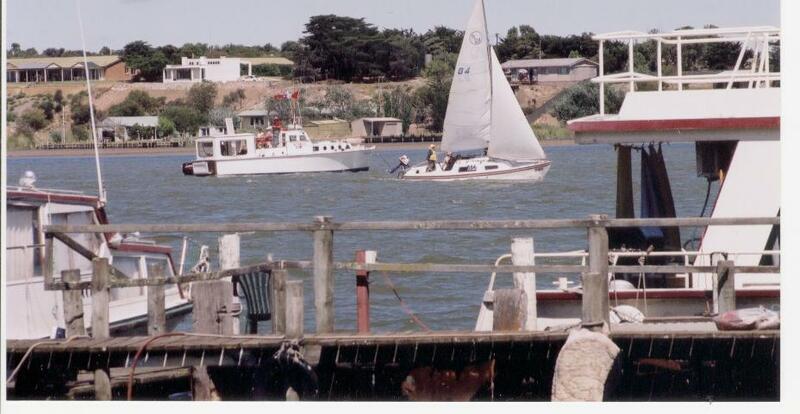 The finish of the Milang to Goolwa race. 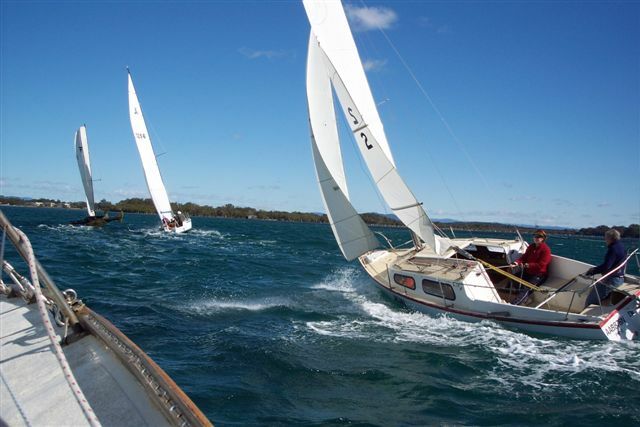 The 2005 Bay to Bay taught us a lot about light weather sailing. GoForIt! 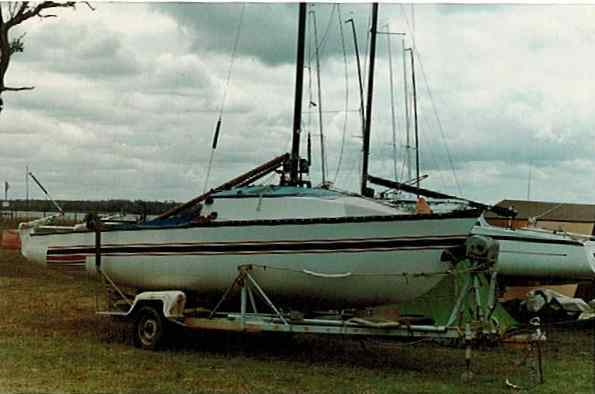 : Steve North's RL24. 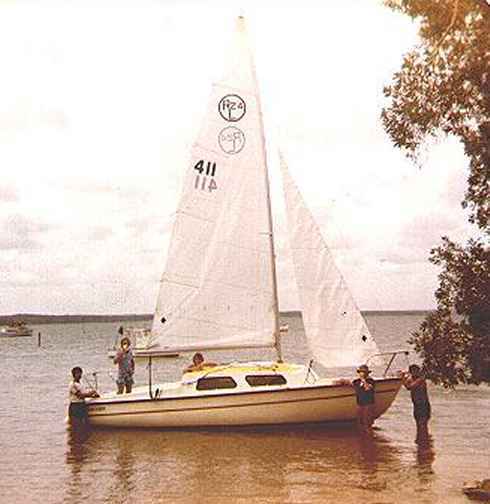 Sail number 45. I purchased my RL24 SK Mk1. back in 1996 and was not sure of its previous name. 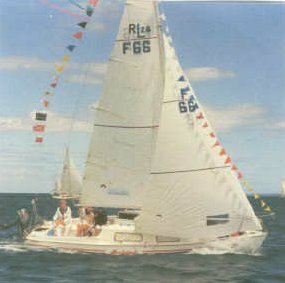 I have since found out she was knowen as Lady Rose and use to race in the Southport region. 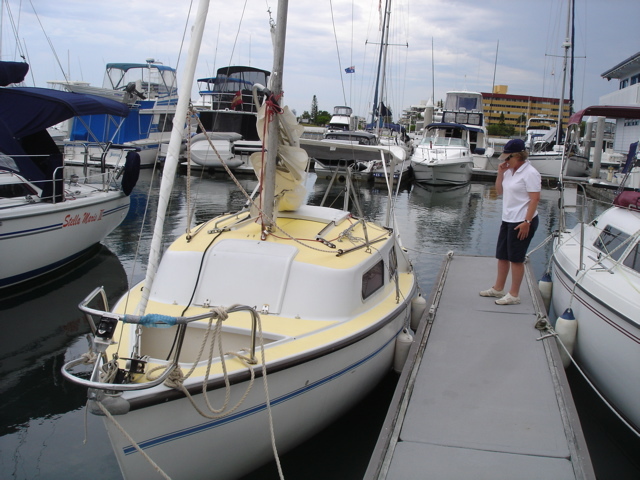 She was christened "GOFORIT" as soon as i got her because when i was thinking about buying her everyone kept telling me to Go for it. 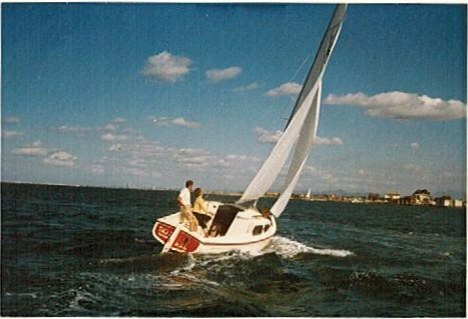 Goforit was and still is the best 5 grand I ever spent. 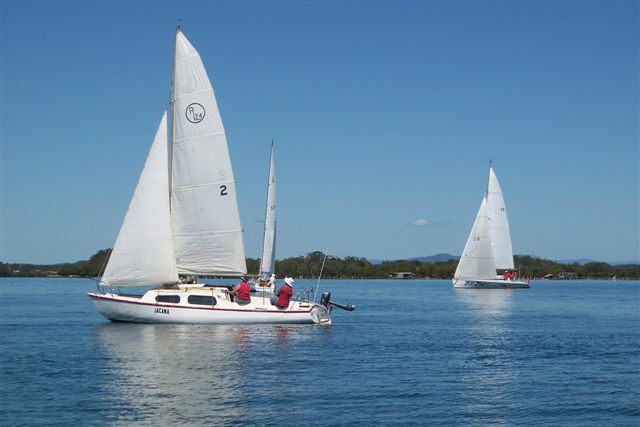 I've spent the last 10 years racing and cruising around Moreton Bay and have done the last 5 Bay to Bay Races, jagging 3rd place last year 2005 in the RL24 Class. 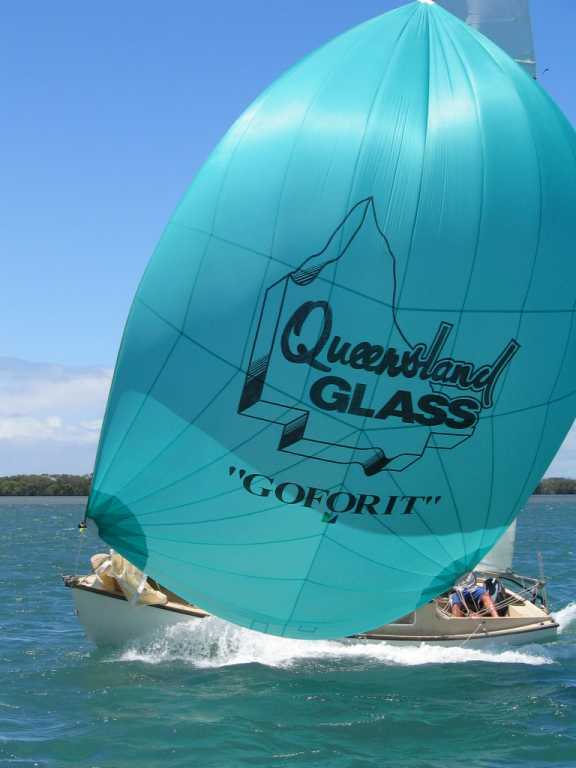 Here are some shots of Goforit coming home from Southport last year after the 2005 Surf To City was cancelled because of a "Cyclone"??? 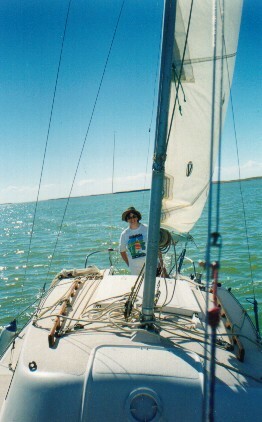 It was one of the best sails we have had on her. 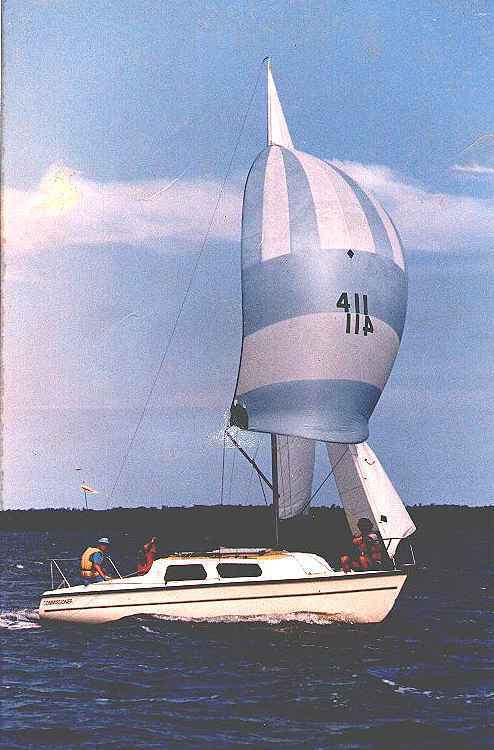 Mikela (previously Jay-Em2): Peter Tetley's and Linda Castle's RL24. 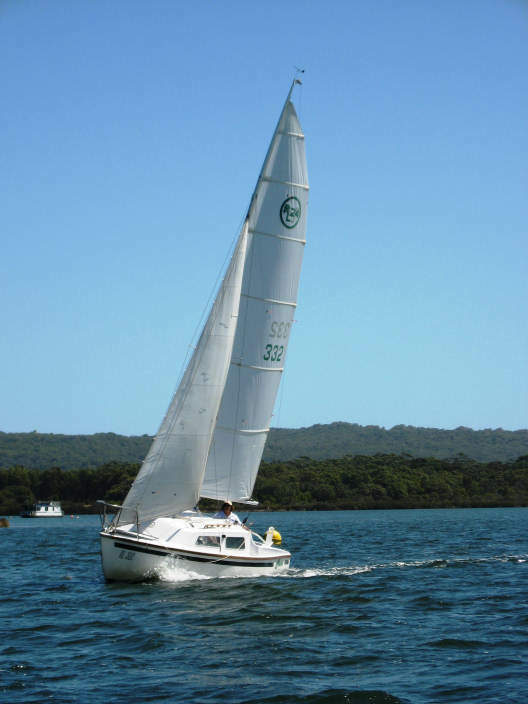 Sail number 266. 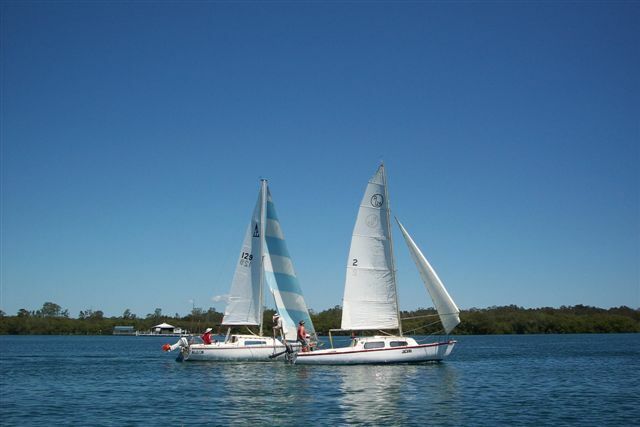 "Sailing away the summer is a great way to get rid of the winter cobwebs. Sometimes the hardest decision we have to make is to choose what delicacy to have out of the icebox. 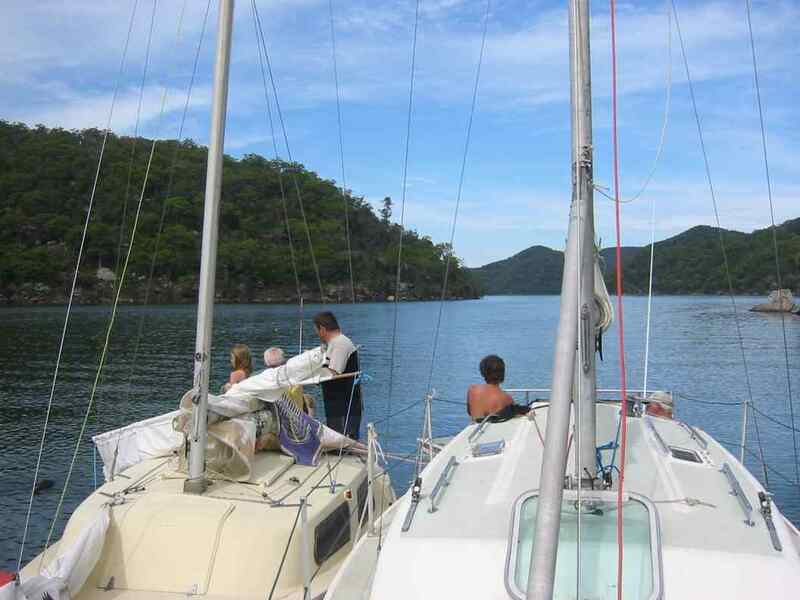 We take with us the comforts of home on the yacht and even a pavlova travels quite well. 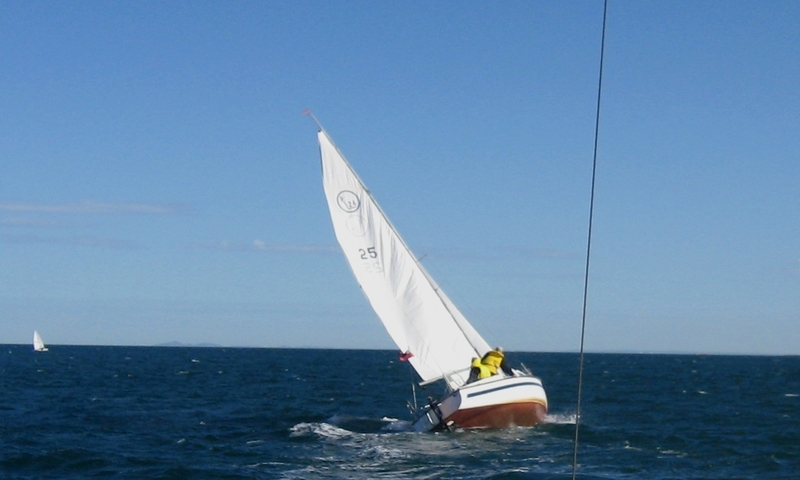 We sail on an RL24 swing keel yacht, 24ft in length. 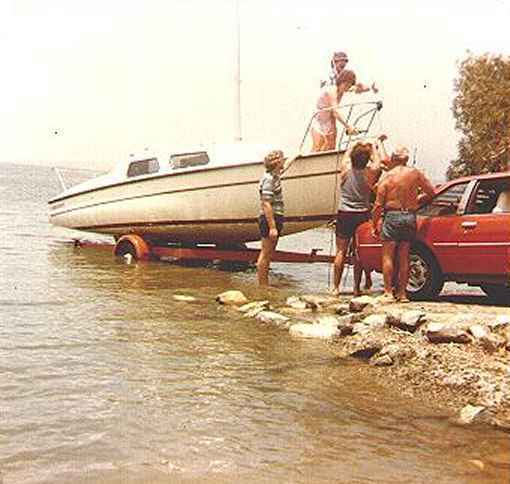 Peter looks after the boat, and Linda the catering. 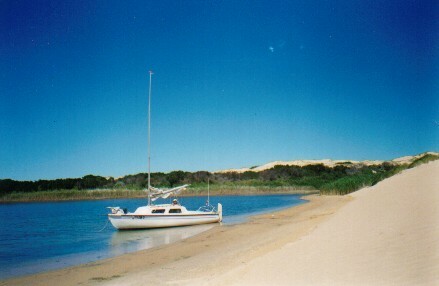 Some of the pictures above were of our trip to the Coorong in March 2000. 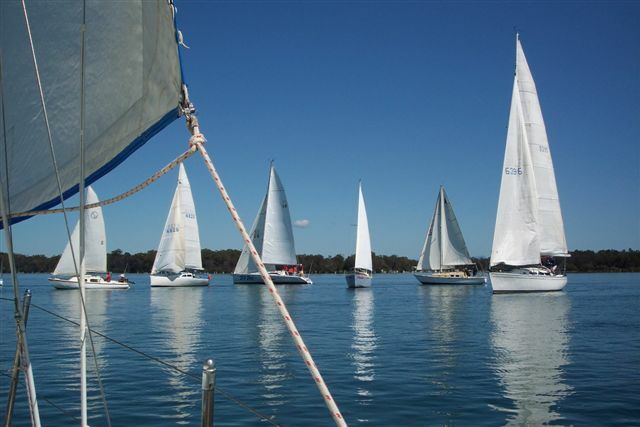 Sailing season lasts from about September to April when conditions are best, but as members of The Trailer Sailer Association of SA Inc., there are activities available for us to attend virtually all year round." Peter Jones now owns "Commissioner" (not to be confused with owner of Blue Peter, its just such a good name that we have to share). 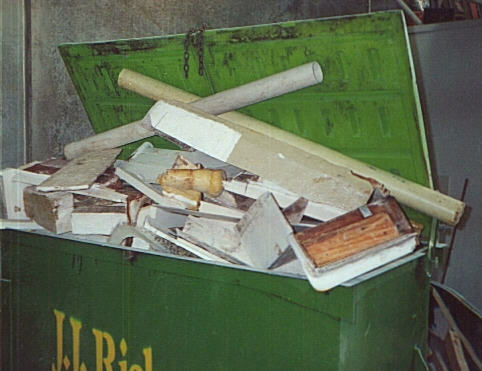 Previous owners of Commissioner were Craig Friend and David Mallet. 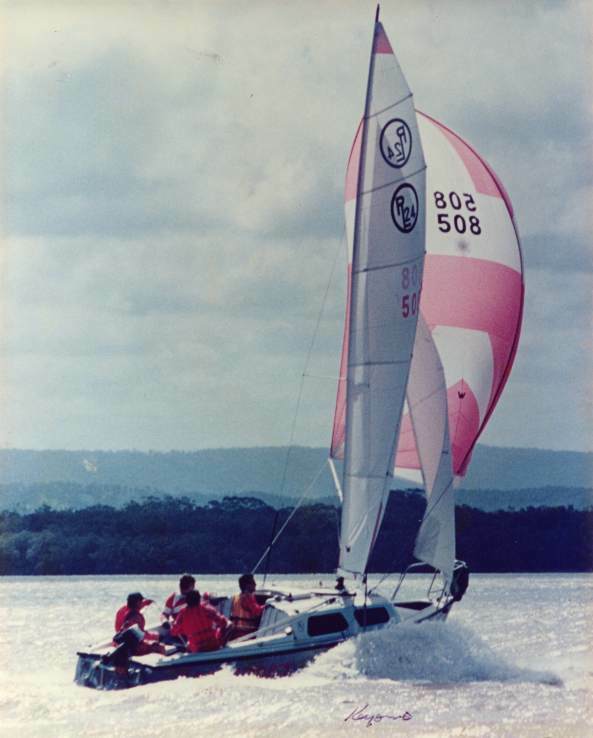 Wayne Hill replaced the cockpit on his Mark I RL24, Spiral Navigator. 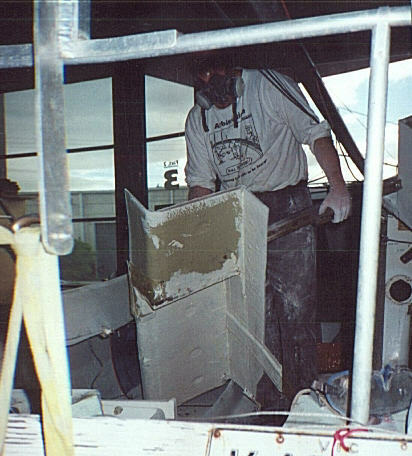 "The pictures show the removal of the old cockpit of Spiral Navigator and the installation of the new foam sandwich gadget, The last two pictures show us, Anton and friends down at the Gippy Lakes over this Easter, this is why I'm prepared to grovel in the fiber glass dust and glue my hair to my overalls!" 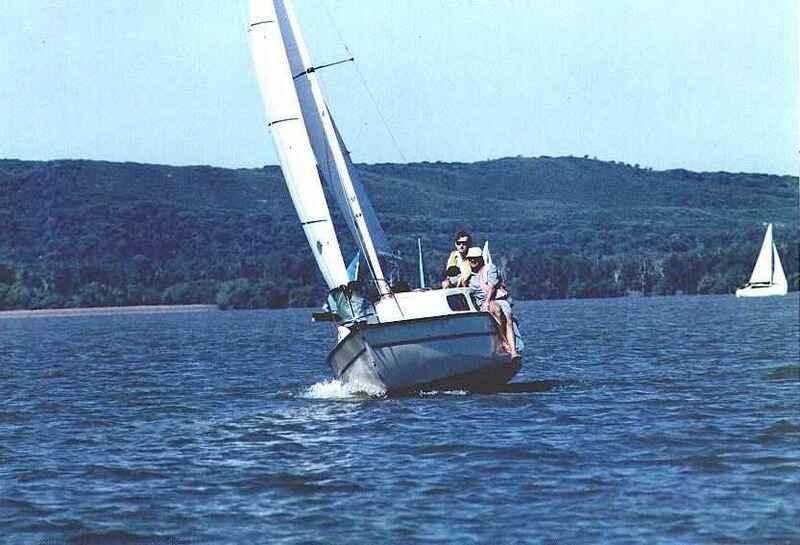 its not an ad, for the fibre glass shed ...just had to borrow his factory for the weekend, thought the escape slide was an RL innnovation no one else has dared try.. boats a little sluggish on the stbd tack though! 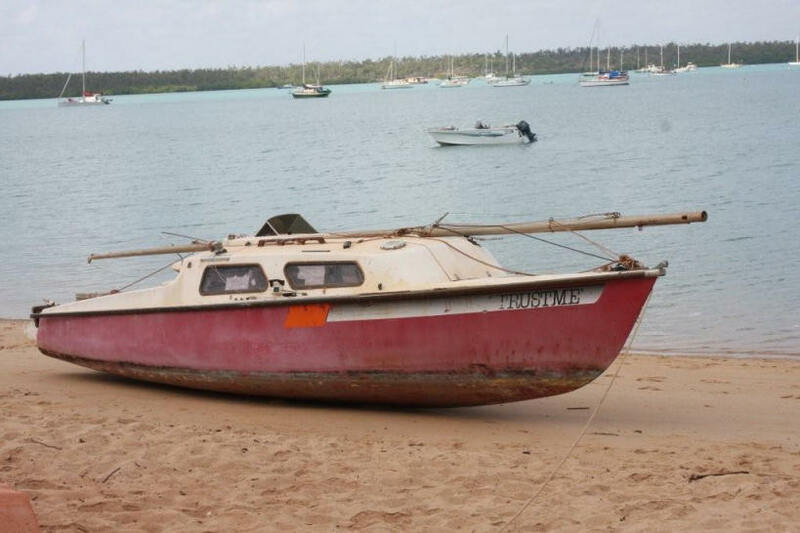 "Our RL24, 'Nautilus' is now on it's way for refurbishment. 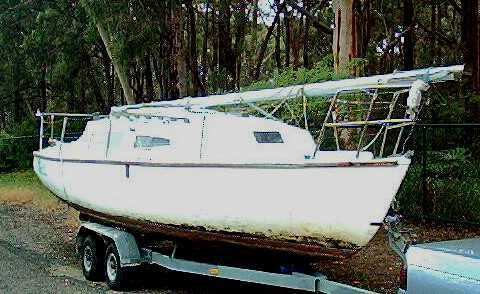 She was in pretty poor condition when my father & I purchased her, however we hope to have her in as new condition prior to summmer. 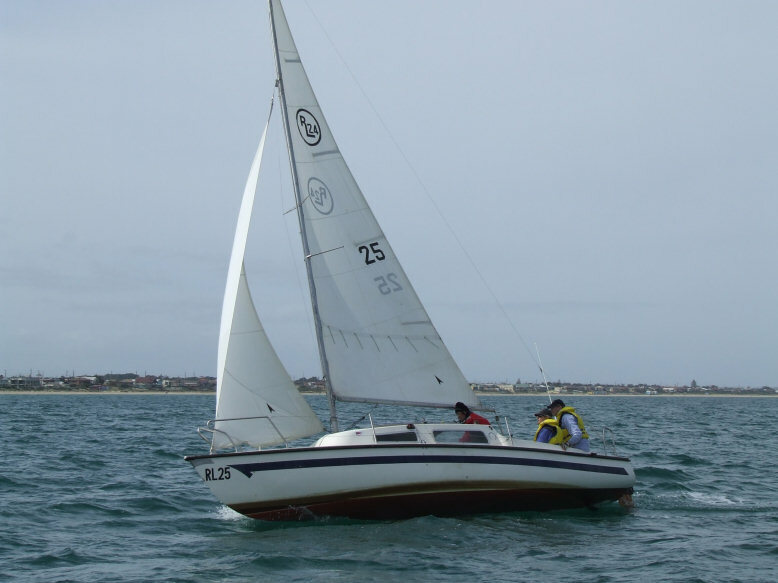 A name change is also on the cards, I can't stand the name 'Nautilus' for a sleek RL24!" 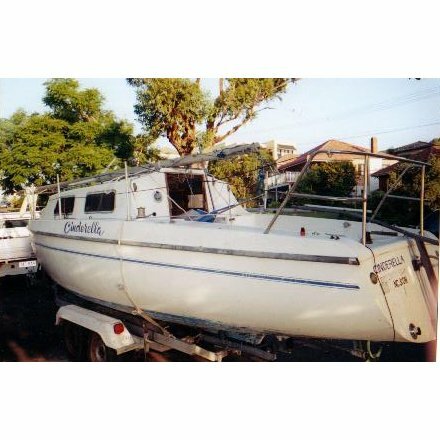 Dave Parker's RL24 The Other Woman and RL28 Cinderella. "The 28 (Cinderella) is not in service yet. 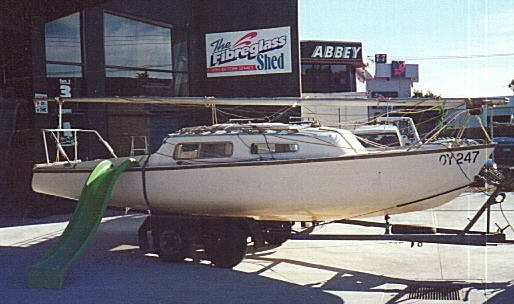 She is undergoing a major tlc job. Lots of sanding, varnishing and painting etc. We got the 12hp diesel running finally. So a few new hoses, filters etc and that job will be over. 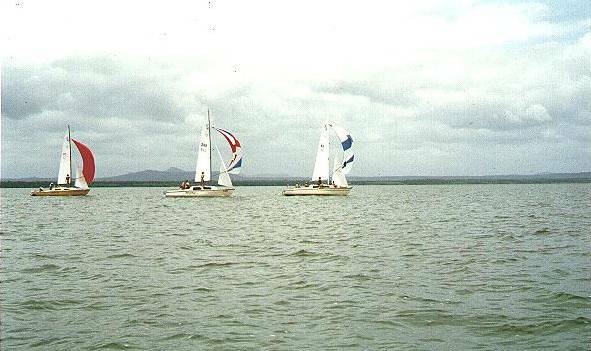 In the 24 (The Other Woman) we won the National Swing Titles at Lake Wellington in 97. 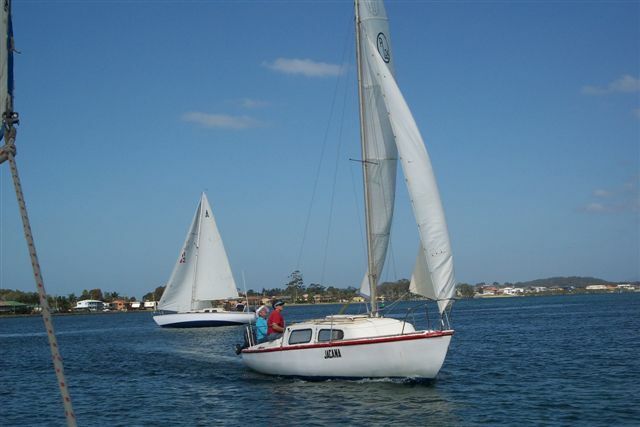 She is now used primarily for sail training under the AYF's TL4 scheme. The Other Woman will be going on the market once Cinderella is in commission." 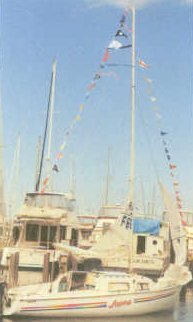 RL24 "Seabird" in full Regalia @ Fremantle Sailing Club's Opening day 2000. 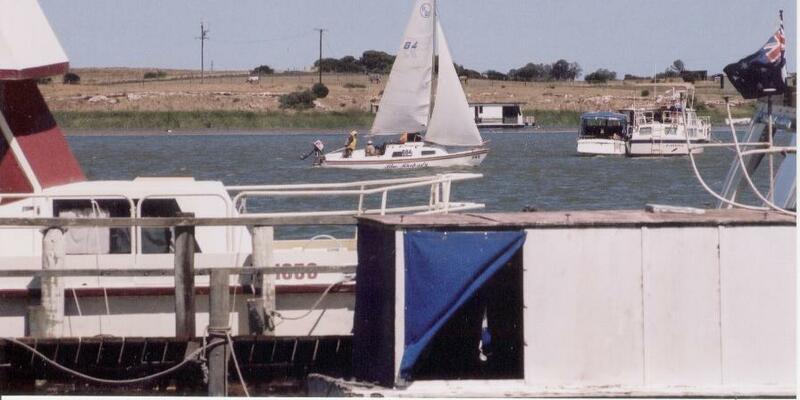 Fourth picture is "Seabird" Photo used in the" West Australian" & "Sunday Times" to advertize a parcel of land for sale in Mandurah during 1999/2000. What we thought would be an easy 'sand & paint' job has turned out to be a mammoth undertaking. 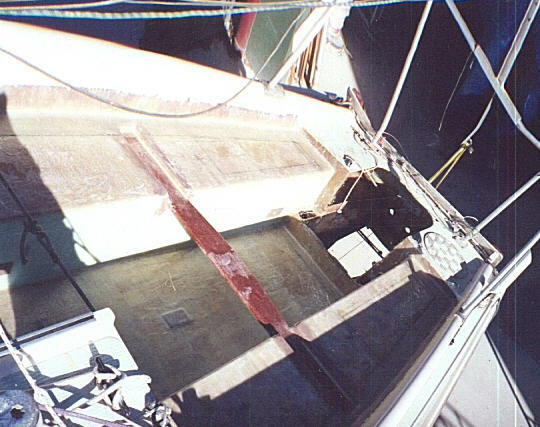 The boat has been repainted several times in it's lifetime & each time the boat was never properly prepared, culminating in the last 'makeover' being hand painted in what I believe was Solaguard! Anyway way Dad & I are perservering & the finish should be worth the wait. 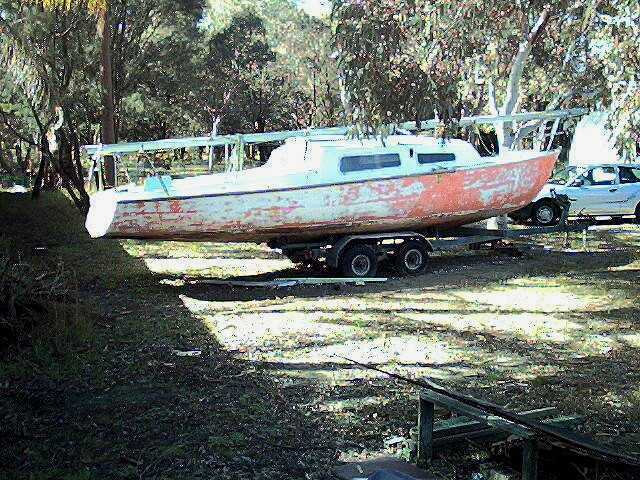 She should go even faster & handle better now that 3 tonne of paint has been removed! P.S. As for the name change .... well 'Carino' is the popular pick. 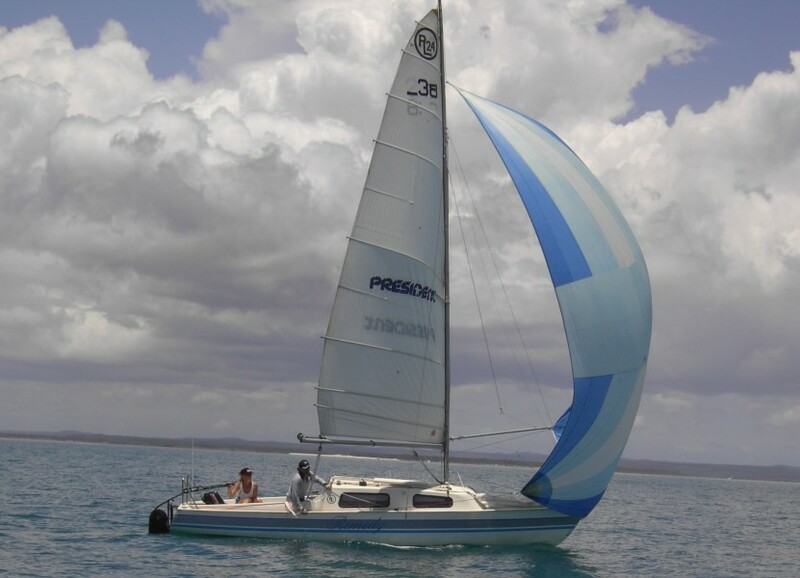 Rudi & Emma We catamaran sailors have nearly completed our renovations of our newly acquired RL24 of four week's. 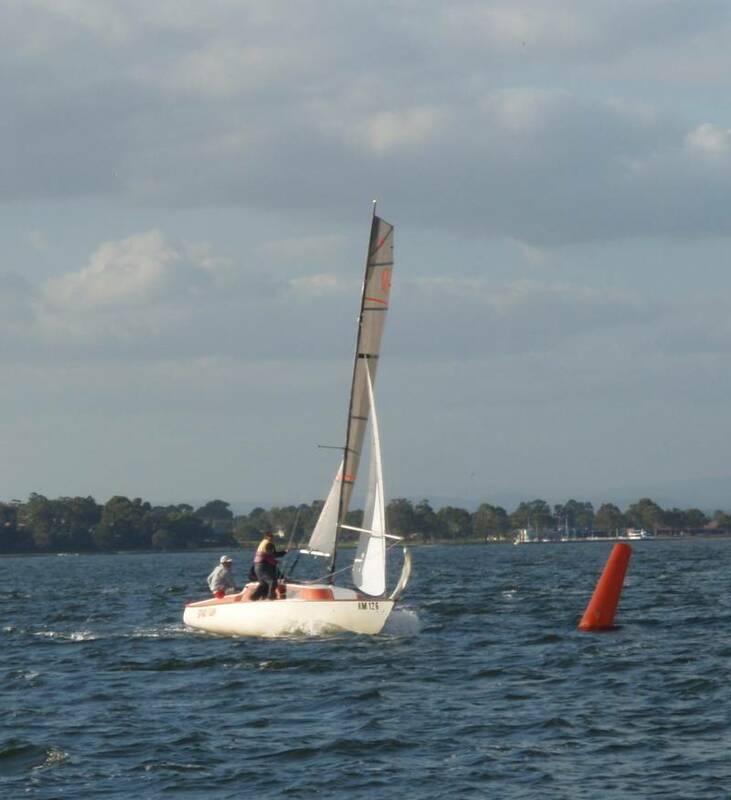 We actually entered our first race, first sail (on a trailer sailor), in 12 to 18 knots. 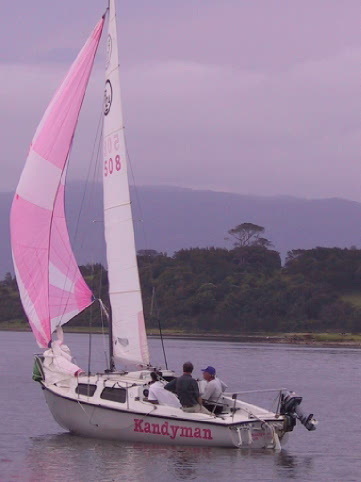 Had a great time - did not put up a kite -never done that before the two of us sailed the RL as we would sail a catamaran, in and out with the mainsheet keep full concentration trim with the jib---sorry foresail. 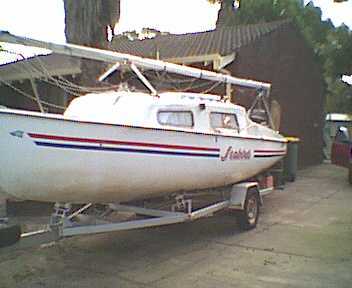 Actually finished home half way in the fleet. 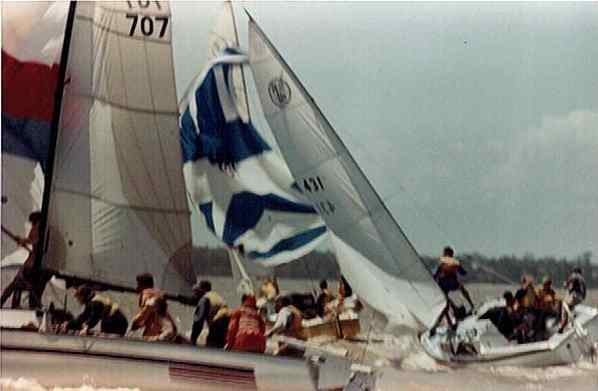 looking forward to the next race we may be game to use the spinnaker. 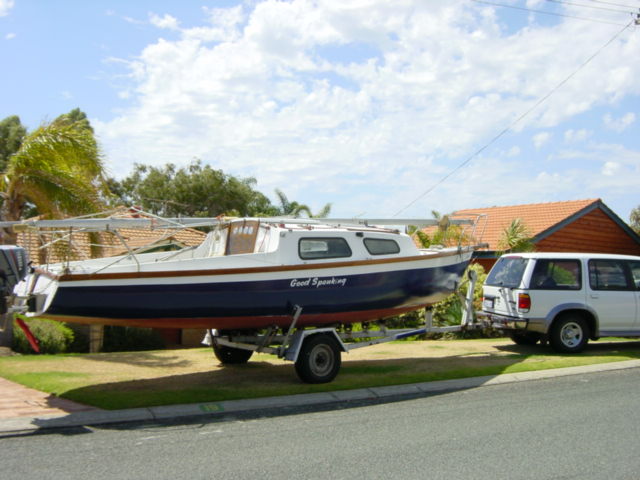 Rudi & Emma purchased the boat four weeks ago. 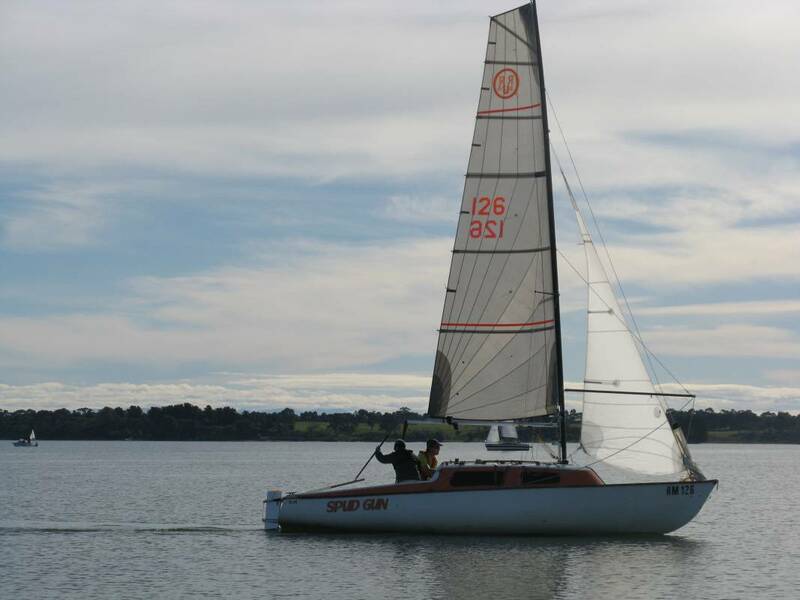 Three weeks of hard work cleaning painting and adding a new battery, gauges,storage,stereo radio, repaired sails and renamed the boat to " MAVERICK ' Emma 52Kg and Rudi 100Kg sail the boat relatively easy, we have not had the kite up yet our first sail was a race where we ended up 8th out of 16 boats in the return leg. 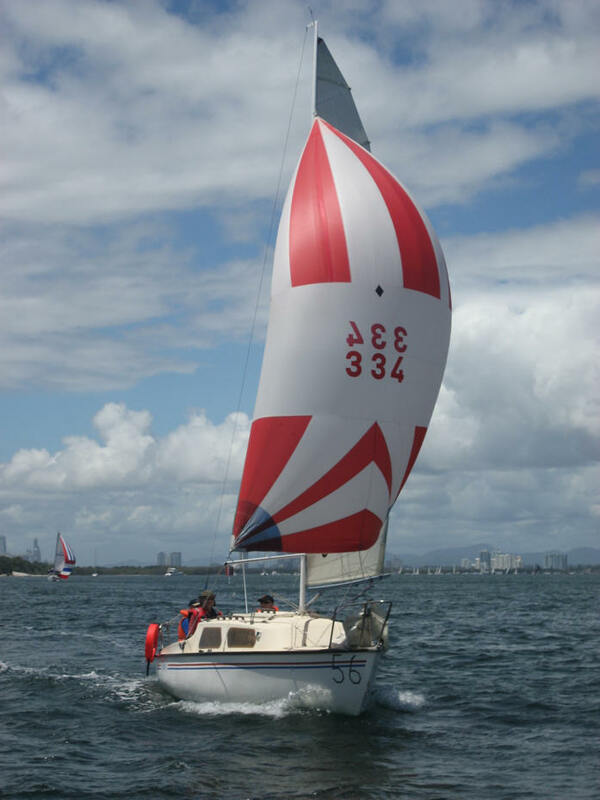 We are sailing the RL 24 like we sailed the Nacra 5.8 catamaran. 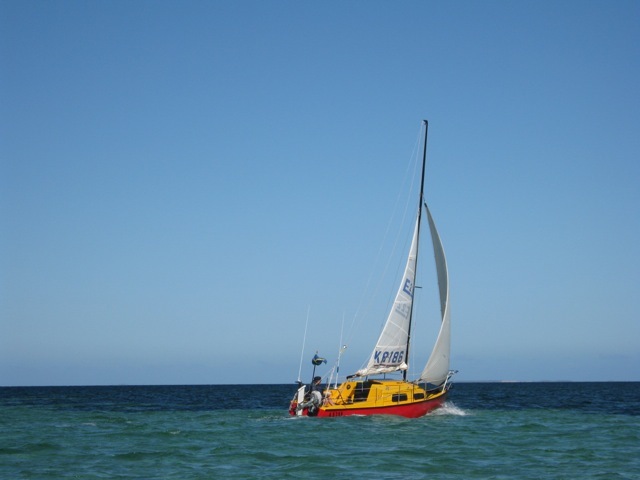 The boat goes really quick and high up wind. 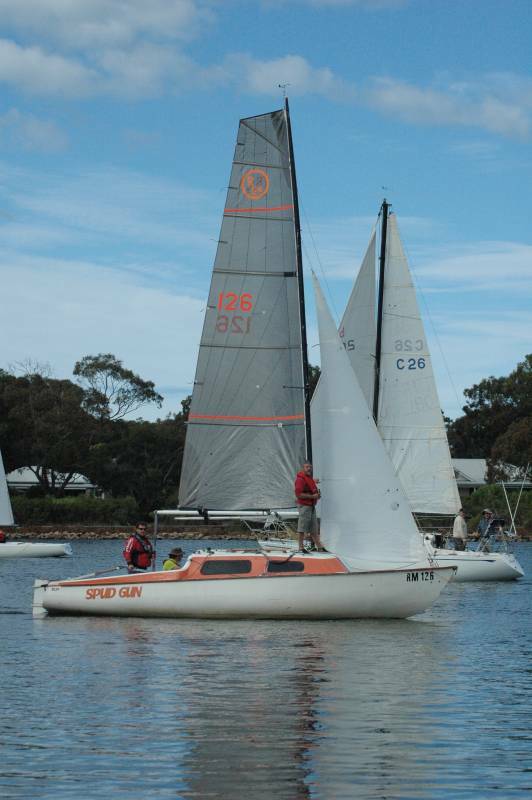 our next sail will be another club race day - we have practiced putting up the kite on shore and we will try it out then (in the deep end). 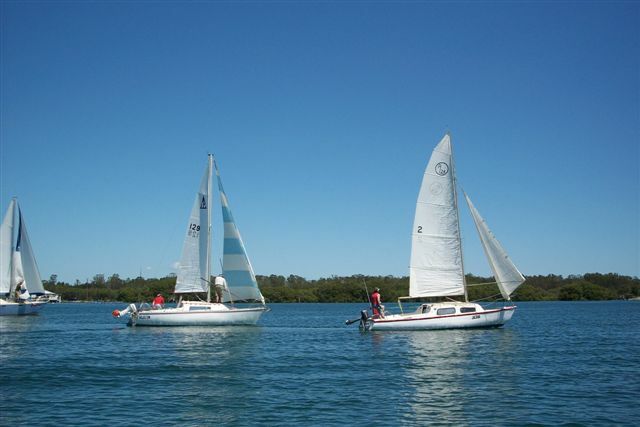 we are really enjoying the RL and are organized to sail it for a week over xmas sleeping over on the boat and exploring South east Queensland (it is almost all bay water) between north and south Stradbroke Island and the mainland. I'd be interested to hear if anyone (or everyone!) 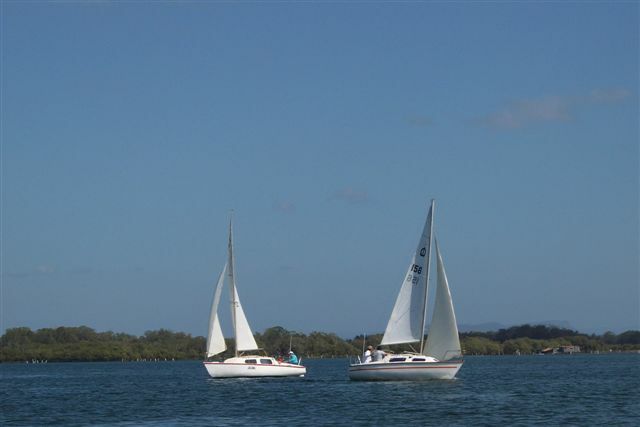 uses a rotating mast configuration on their RL24. 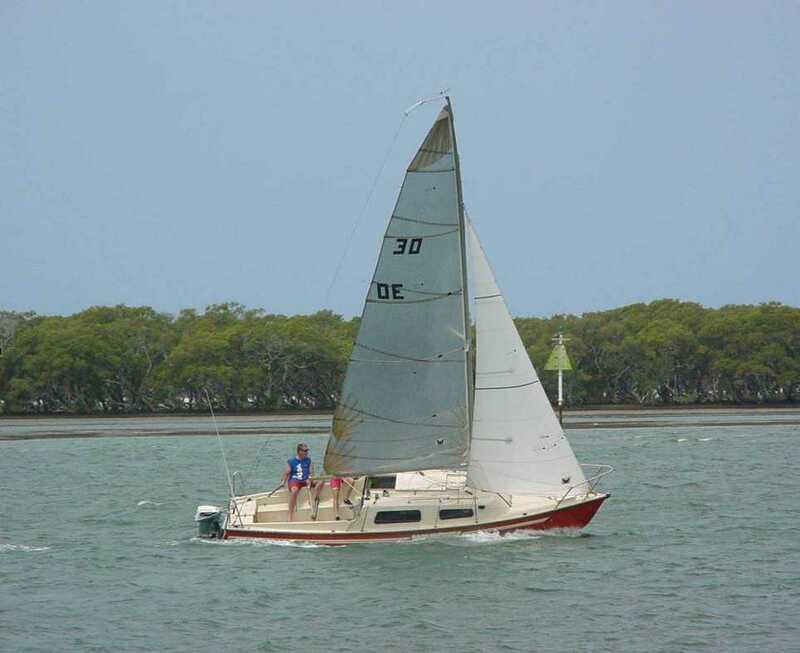 Here's a picture of "Good Spanking" after a paint job, on her way to a hard standing at Ocean Reef. 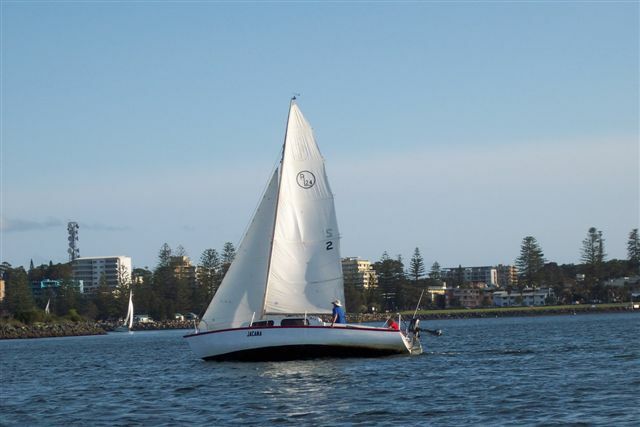 Twilight sail at Illawarra Yacht Club. My RL24 Kandyman finished 3rd at it's first start under my Helm. 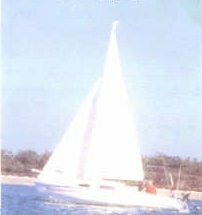 Kandyman was the last RL24 built by Rob Legg, and has an unusual cabin top radial traveller to keep main flat at all angles of sail. 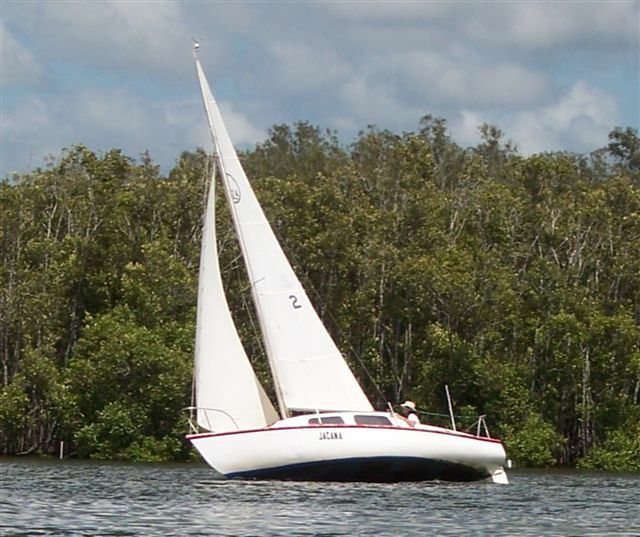 A couple of great high speed RL24 pictures on Lake Cootharaba. 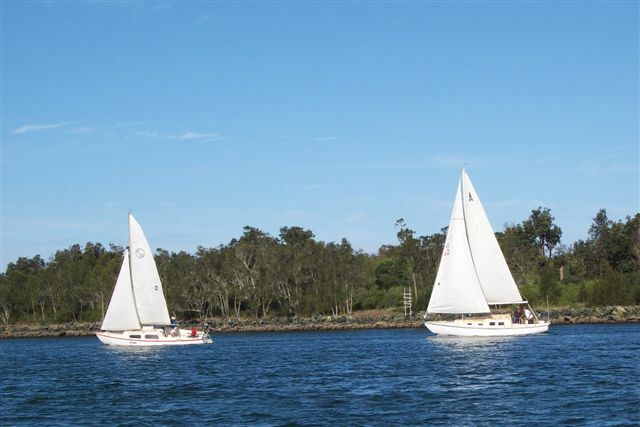 This is why we sail RLs ! My RL24 has been adapted for cruising. 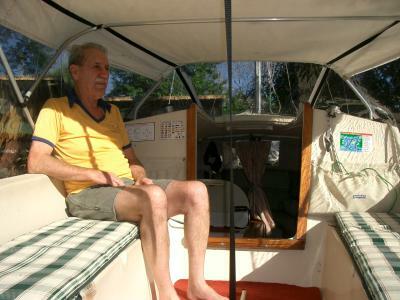 A home made Bimini has been installed, with removable side and front curtains. This has made a huge difference, keeping the skipper/crew out of the hot sun in summer and provides a cosy rain and windbreak in winter. 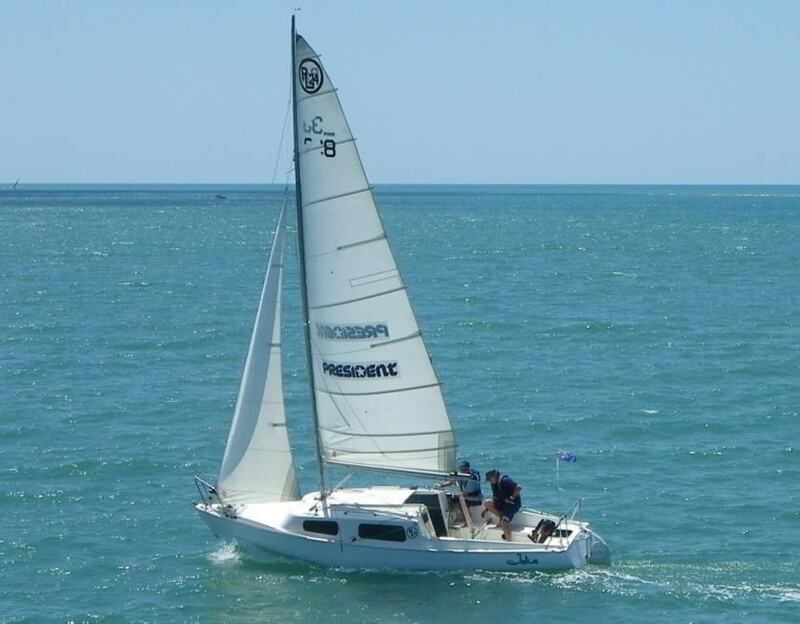 We can sail comfortably as the mainsheet just clears the bimini both on and off the wind. We seldom need to use the side curtains, but the front curtain has double sided zippers for access inside and out. 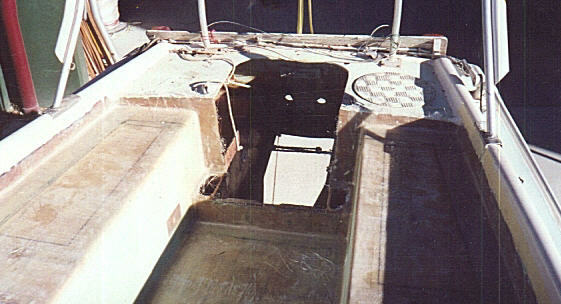 It also has snap on aluminum steps at the transom with extendable ladder down into the water for access from land or after swimming. 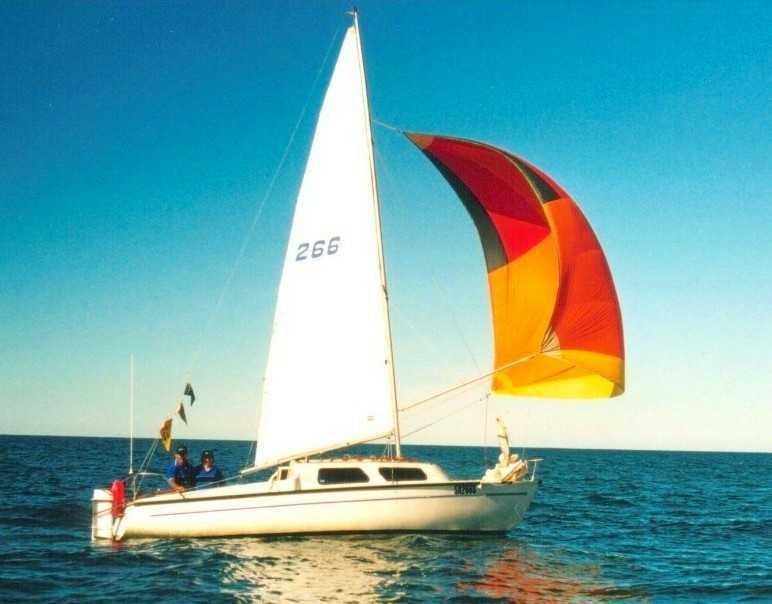 I have a "handy billy" tackle to raise and lower the mast single handed, aided by modified inner stays and dual use spinnaker poles which keep the mast from swaying while being raised. RL24 in downtown Melbourne. 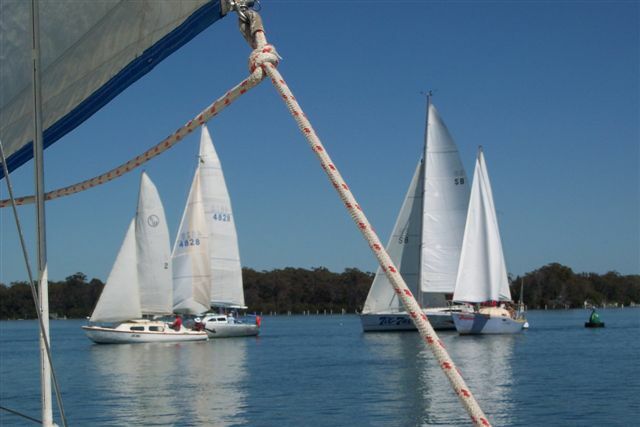 Taken on a recent trip on the Yarra River. 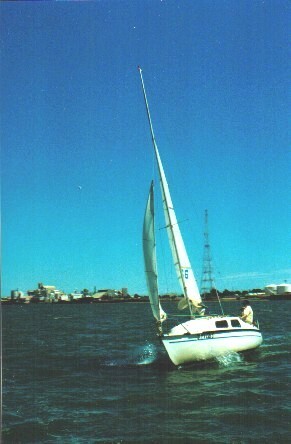 The shot of Tiki 2 was taken in 1975 and shows Rob sailing with June on the Broadwater. 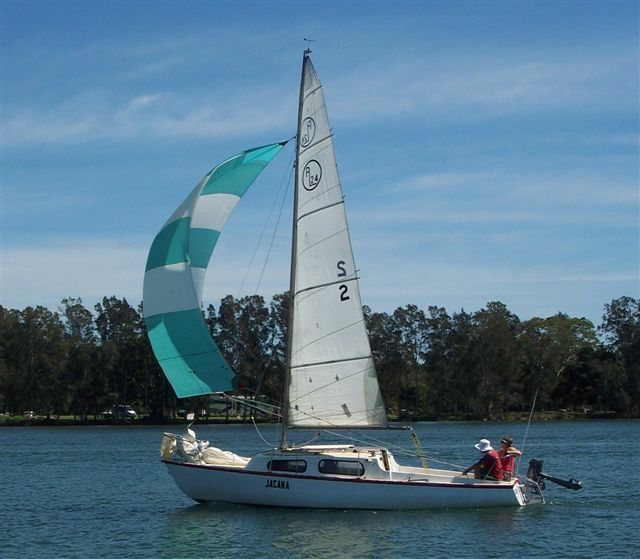 Tiki has the original rotating rig and a beautiful set of Elvstrom sails. Rob sent me the picture shortly after it was taken but I don't know the identity of the photographer. 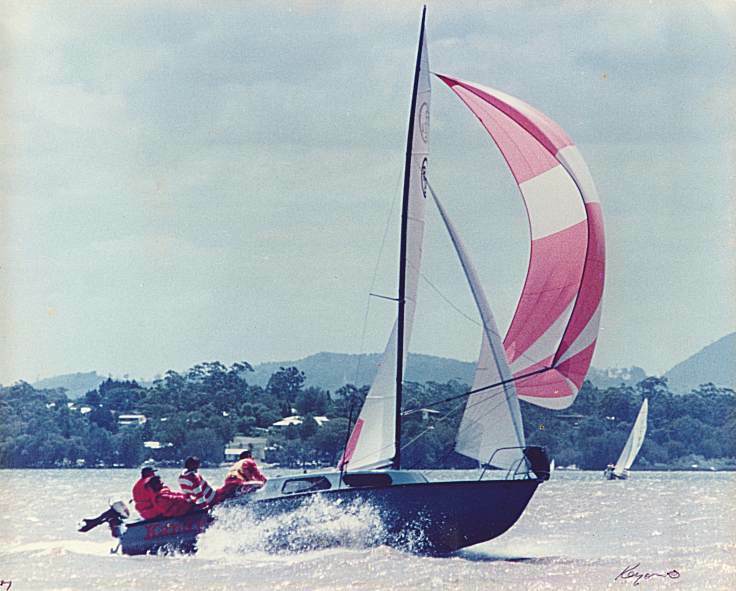 The second shot I took on 14th Jan. 1989 at the RL24 Nationals held at Lake Wellington. 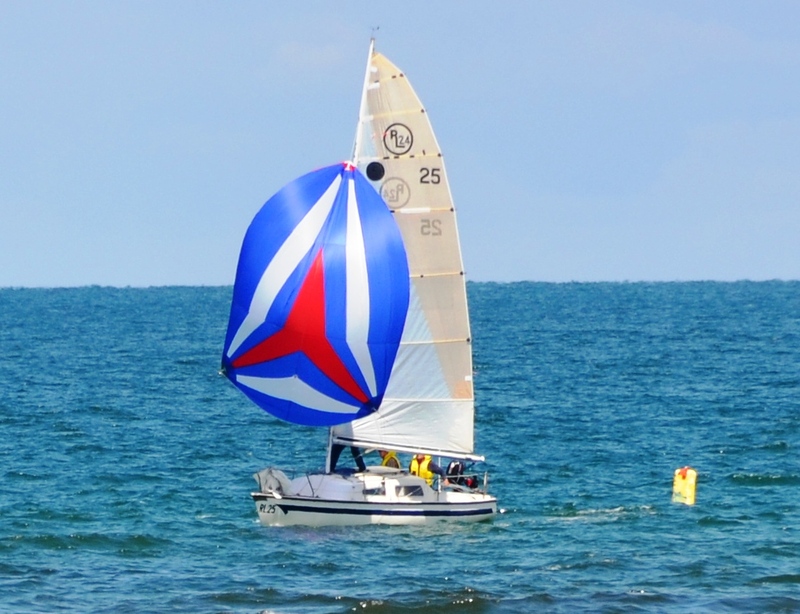 It is located just beyond the weather mark as crews began setting kites in about 20kts of breeze after the first work. 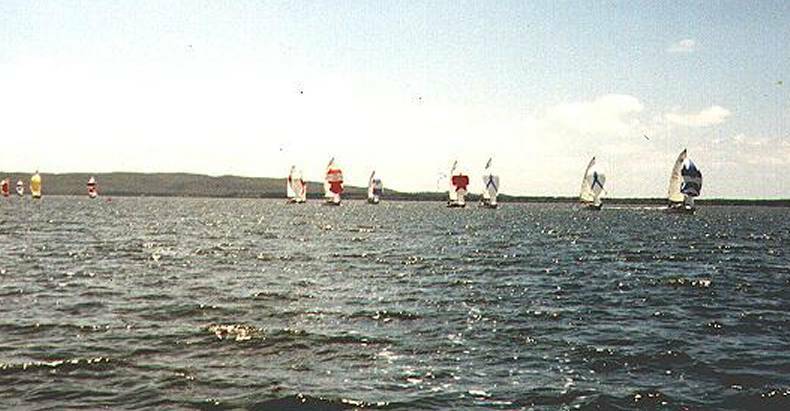 It was the final heat and after a week of high winds, everyone was close to exhaustion. 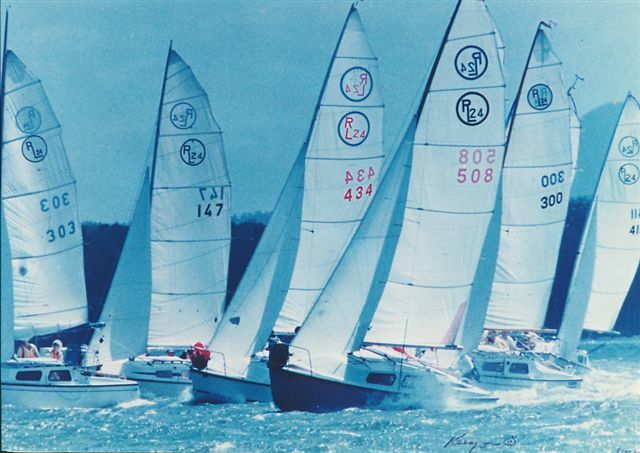 The boats involved are Radical Lady 2 (#707) sailed by Jack Lucas, Liaison (#431) skippered by Geoff Vaughan and in the background, calm as a cucumber and totally under control as usual, Bunyip (#405) sailed by the doyen of RL skippers, Ronnie "Sport" McCrindle. 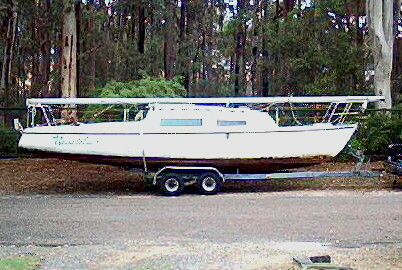 I took the last shot of Radical Lady 2 in the car park at Lake Wellington after hostilities had concluded. 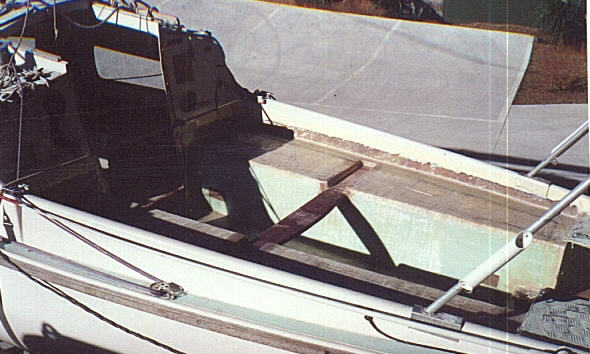 If you look carefully, you'll note that the boat had a twin rudder set-up, just one of many features Jack incorporated into the boat. 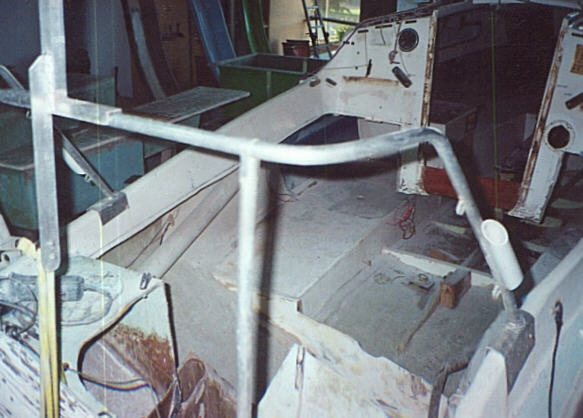 It also had a hydraulic ram under the mast so that rig tension could be varied at any time and, of course, the controversial "cuddy" in lieu of the normal cabin/deck of a standard RL24. 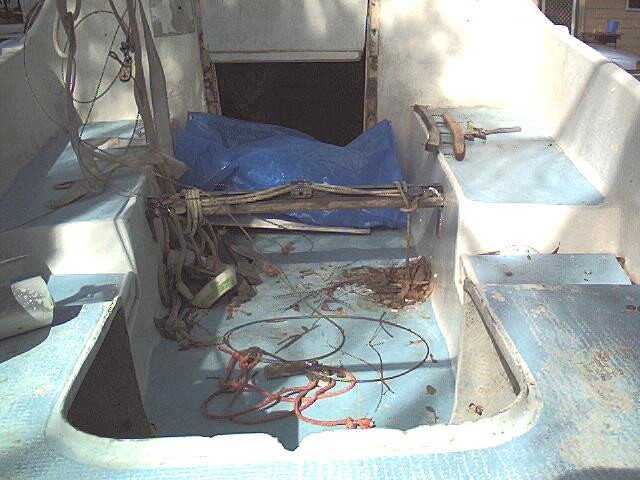 As the previous photo shows, this arrangement allowed Jack to sail comfortably with seven on board whereas the rest of us found it difficult to cope with 4. 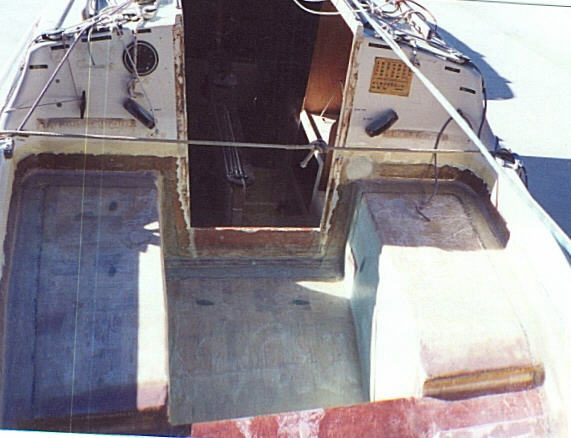 It also explains why the Association Class Rules now require RL24's to look like RL24's and why Association permission is required before any modifications to hull or deck will be accepted. 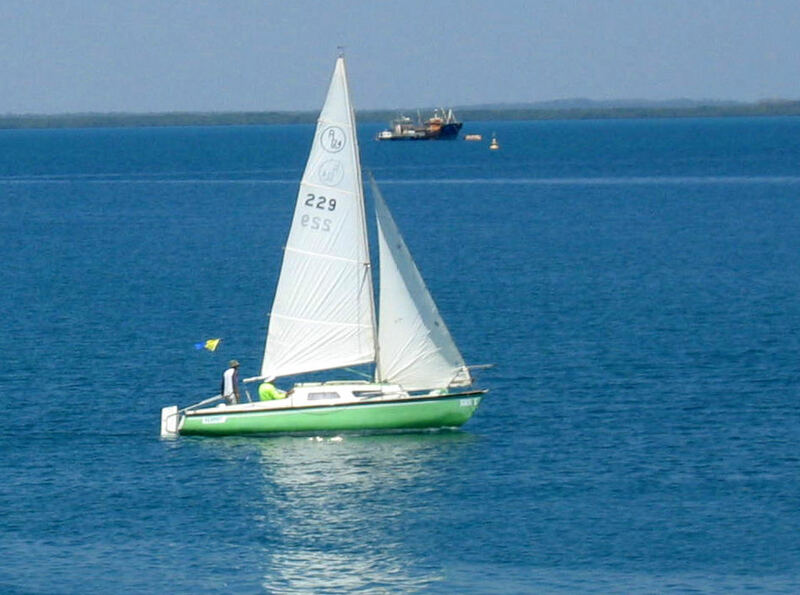 Mike Skinner's Kermit racing on Sunday off Stokes Hill Wharf, Darwin. 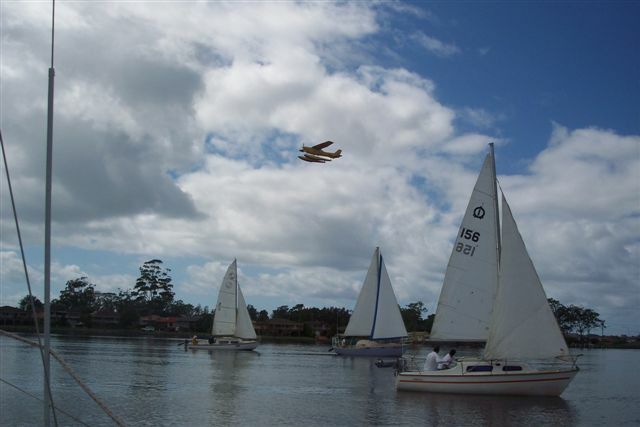 Bob Brodie's RL24 Jacana (Sail number 2) racing on the Hastings River at Port Macquarie, NSW. 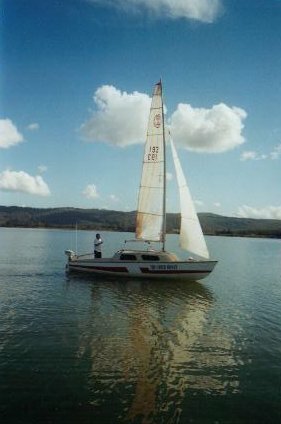 These pictures have been selected from 2007 river race series and show Jacana in a range of conditions. 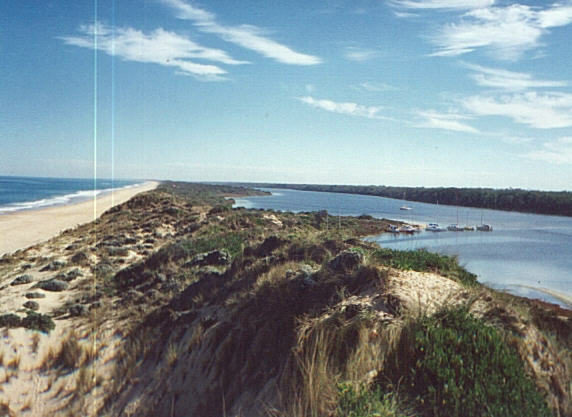 The Hastings River provides quite a maze of variation in tide and wind and Jacana copes with them all. 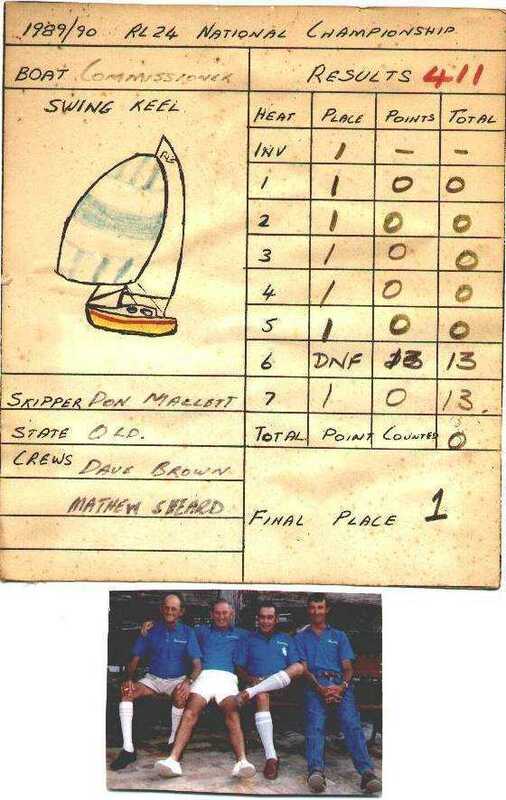 We certainly gave the handicapper a challenge. 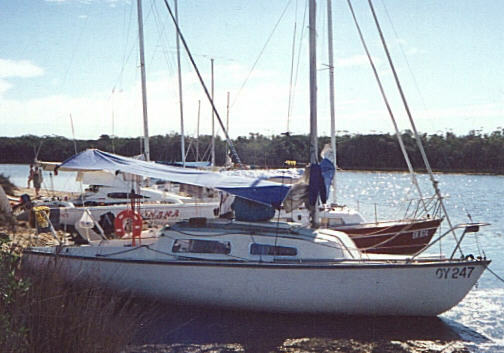 Jacana was built for Don Mclean in Bowen and was delivered 19 January 1974. 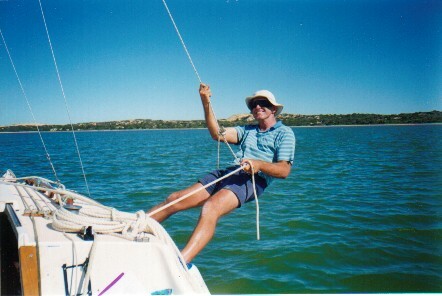 Steve and Sarah Avery puchased her in 1984 and sailed her everywhere including Lake Jindabyne. 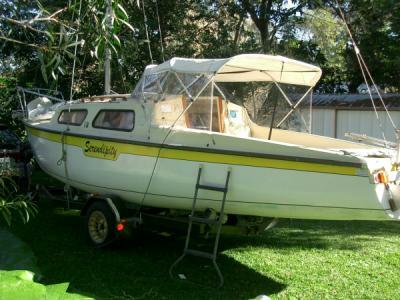 In 1992 she was sold to John Smithers at Bonville near Coffs Harbour. 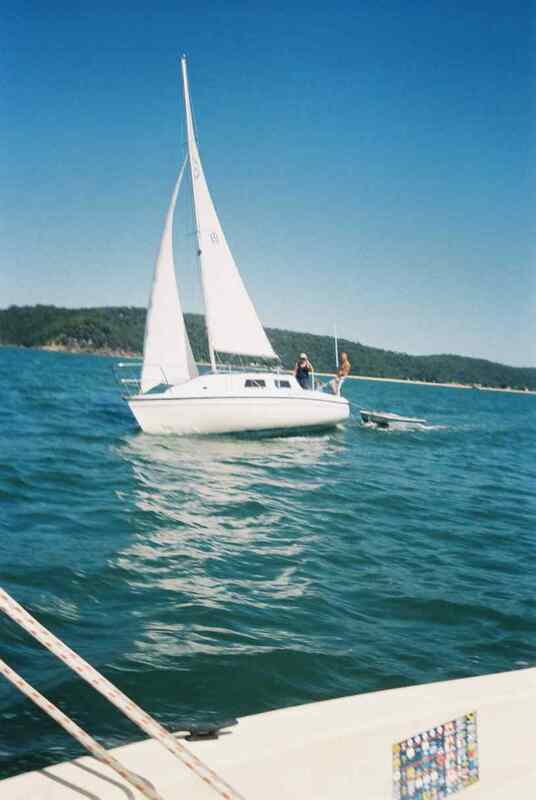 John and his wife had many cruises in the Whitsunday's until 7th March 1996. 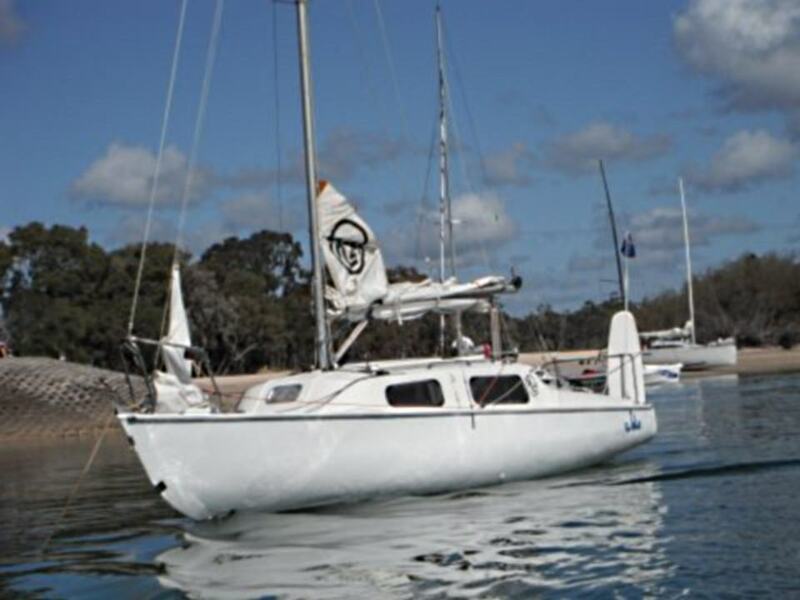 That was when I purchased her after graduating from Hartley TS16's We spend our time racing with the Port Macquarie Yacht Club and enjoy providing a surprize or two. 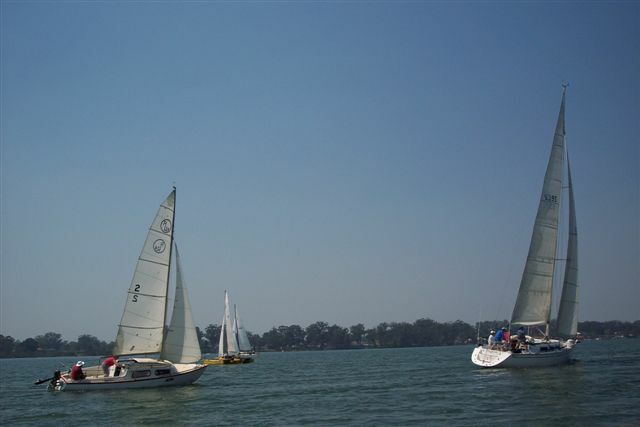 This year we won the 2007 River Handicap Series, an event over 25 races. 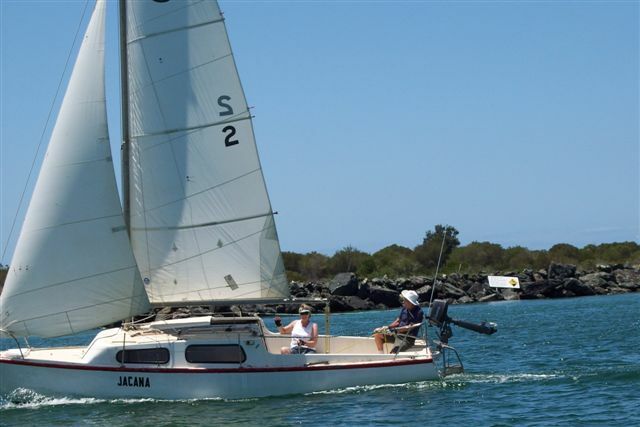 At the age of 83 I feel I have a couple years yet but the shape Jacana is in she will still be racing long after that. 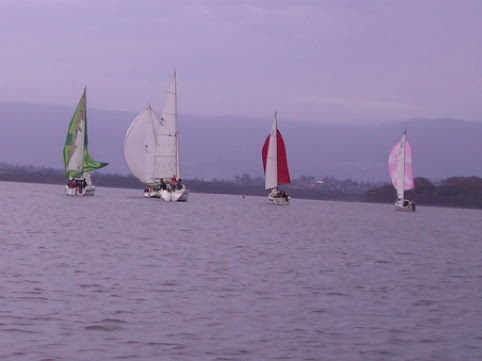 Attached are a few photos I snapped from the Surf to City held in January 2008. 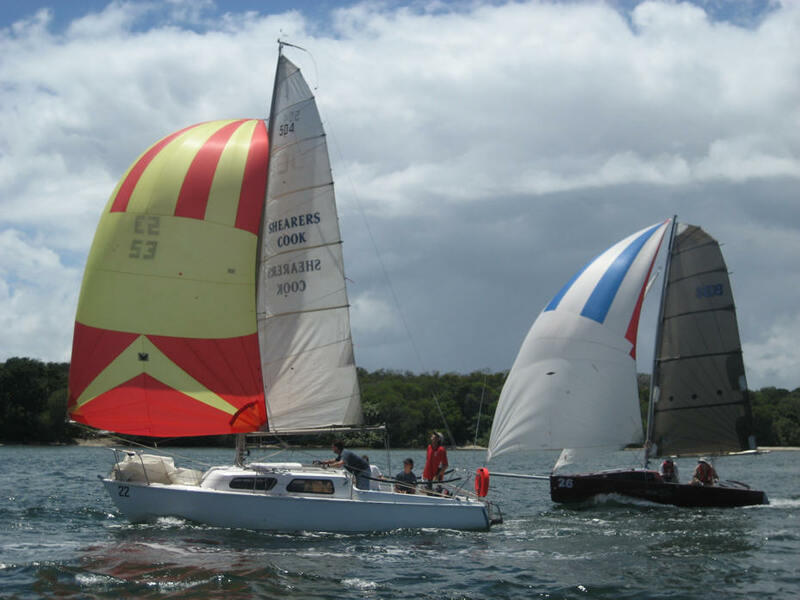 I believe "Go For It" was the only RL to finish, third place Div 2 "nice one" as shearers Crook turned back and Fabella suffering a broken mast. 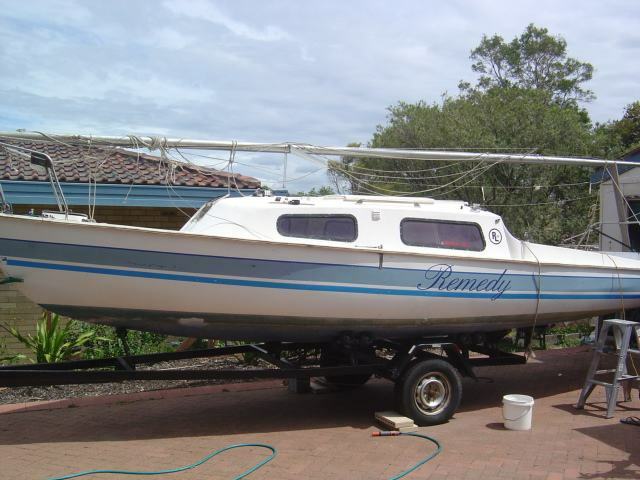 Doug has his work cut out restoring Trust Me, an RL24 he was given. 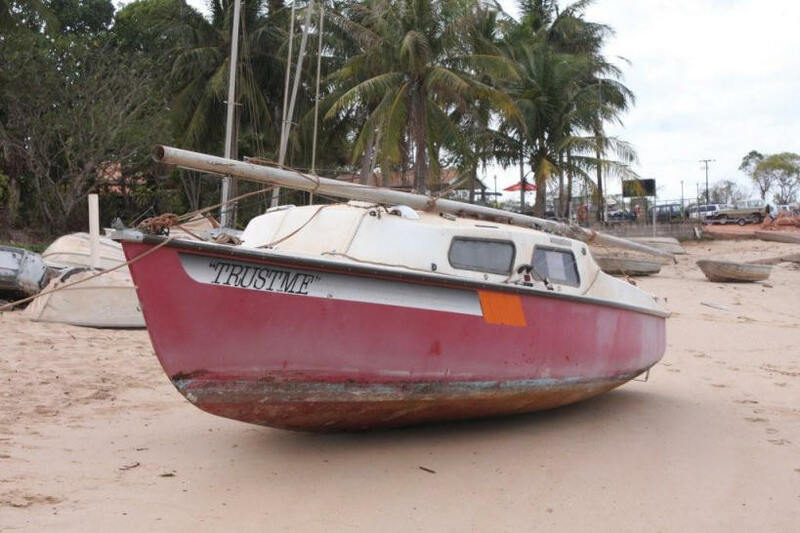 "She has lacked love and care for a while, and this is how we were left the boat high and dry after she took on water. 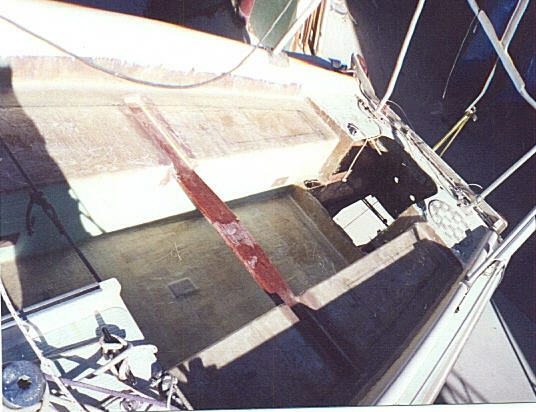 "We have drilled the rivets out of the mast to lower it as the mast base would not allow the pivot bolt to be removed. 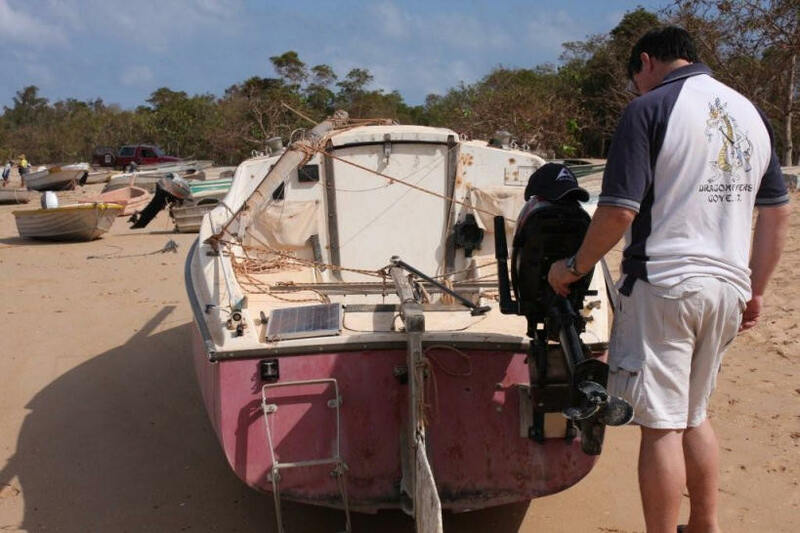 "She is now home and we are preparing to make her seaworthy again." 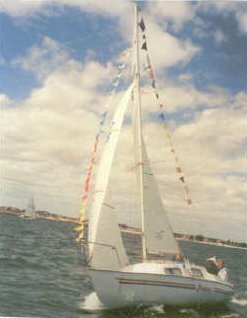 Peta and Graeme Davis's Anitra. 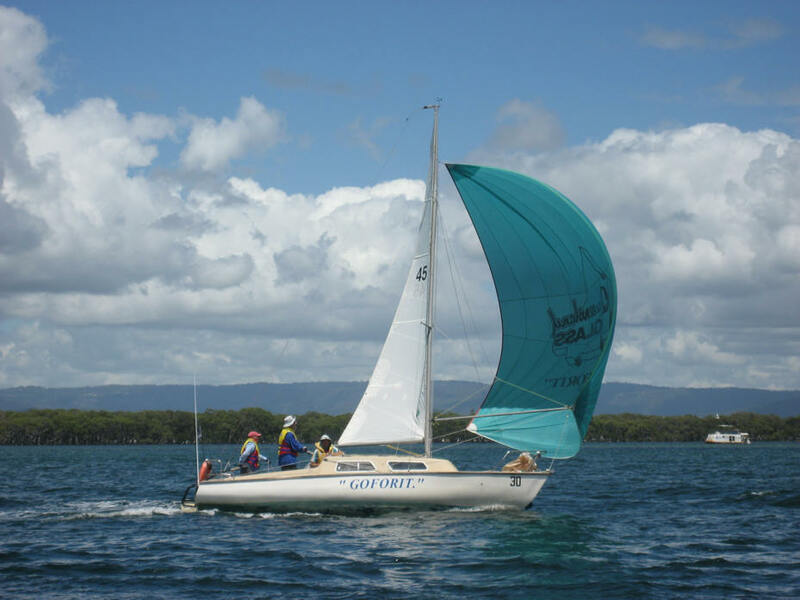 Peta and Graeme have owned Anitra since 2007 and race it on inland waters with the Augusta Yacht Club in Western Australia. 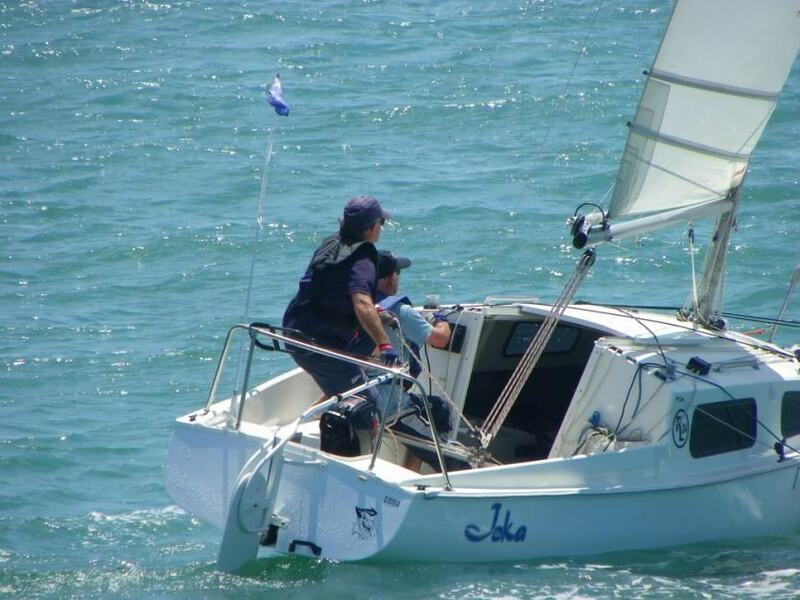 Mike Montgomery's RL24 - Boat number RL25 - Solitaire - racing in a Mordialloc Motor Yacht Club (MMYC) event. 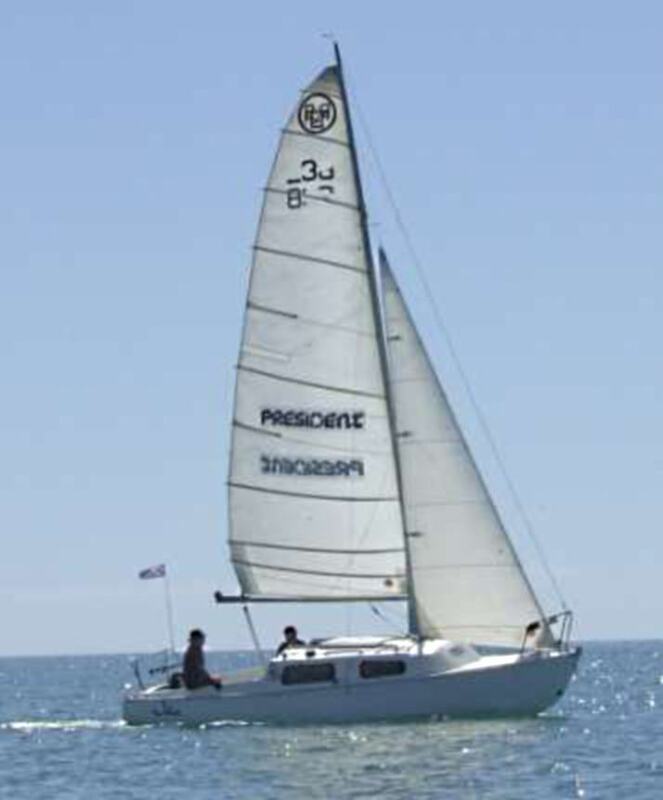 Had this boat two years now - what a great yacht the RL24 is. 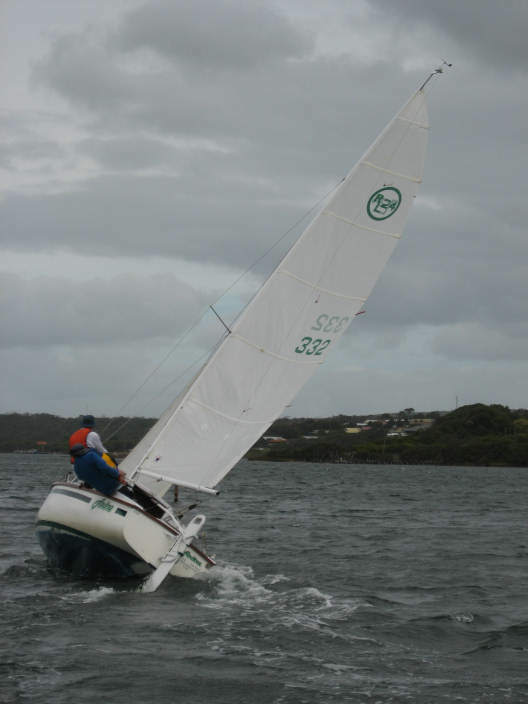 Here are a couple of pics from a recent MMYC event - in the first we look outta control but with the RL24 not really. 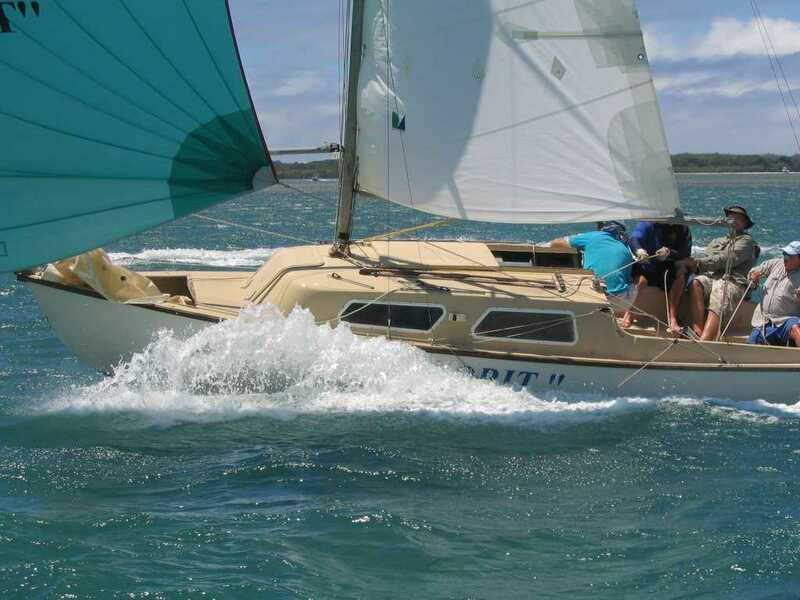 Also jousting with a Noelex 30 at a recent start - one reef in the main. 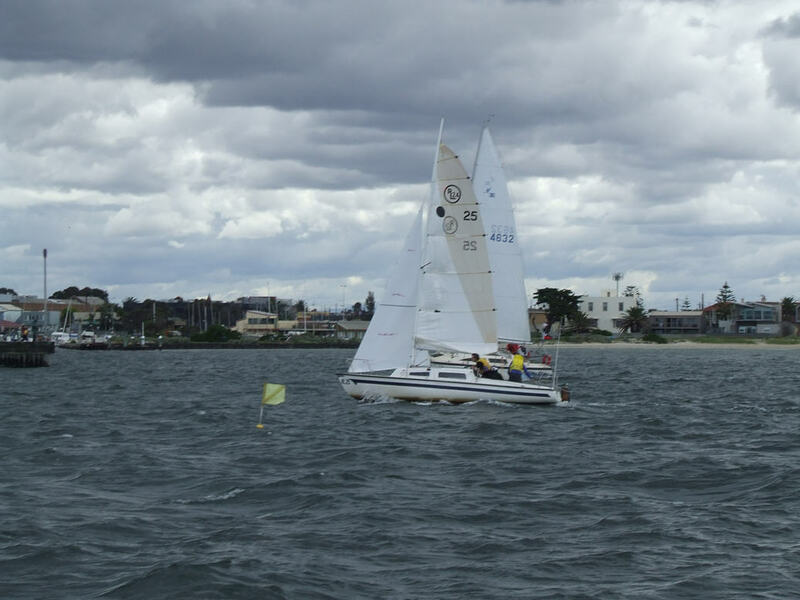 These pics were taken at a recent Longbeach Challenge event - an annual inter club event for trailables between Mordialloc Motor & Yacht Club and Carrum Sailing Club. 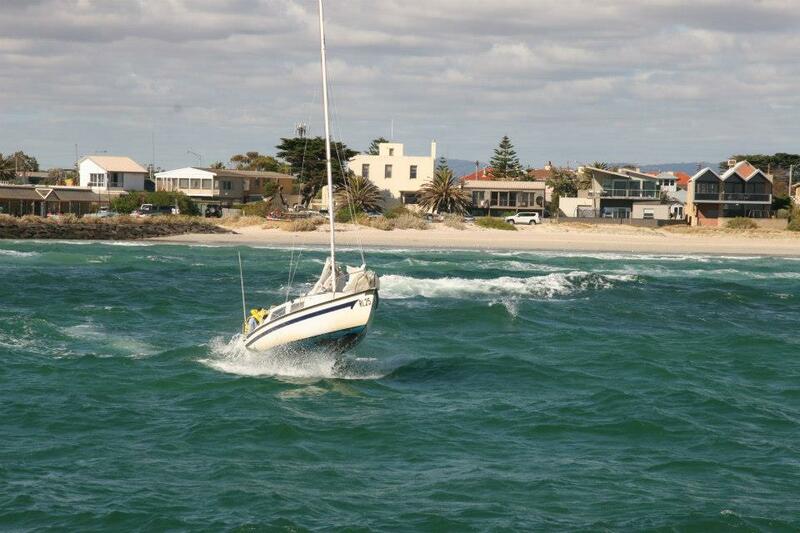 Held off Mordialloc - one pic shows the tricky entrance out of the Mordy Creek and the other finishing under spinnaker. 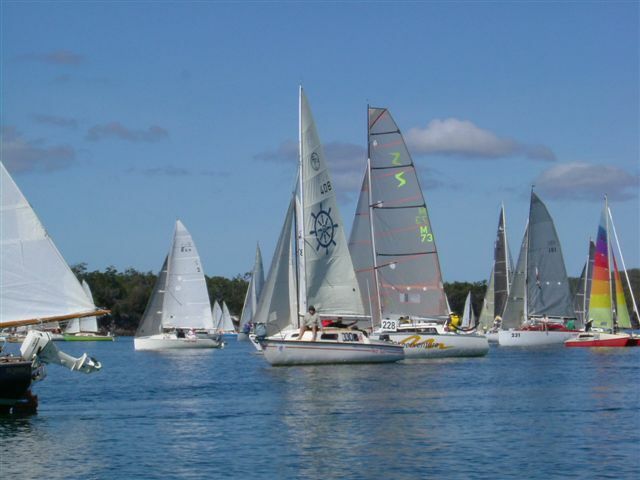 John & Erika Dines RL24 - Remedy - racing at Hervey Bay. 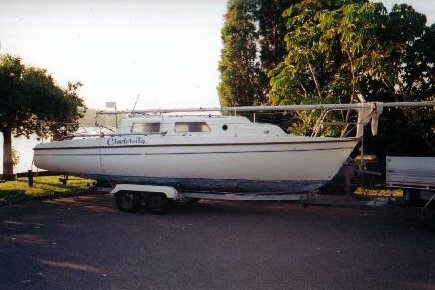 She is now currently being re-sprayed and re-named. 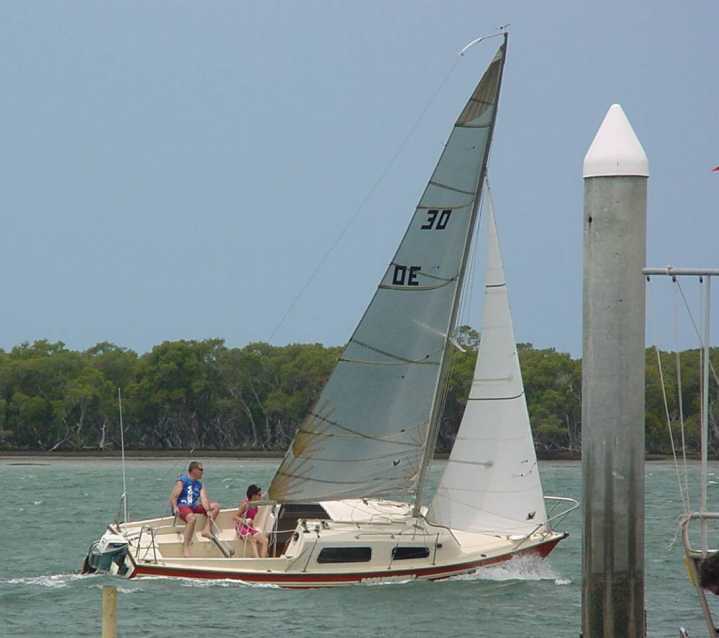 Charles Clark lives away from the coast so when he gets to sail Cacatoo, it is for a couple of weeks at a time. 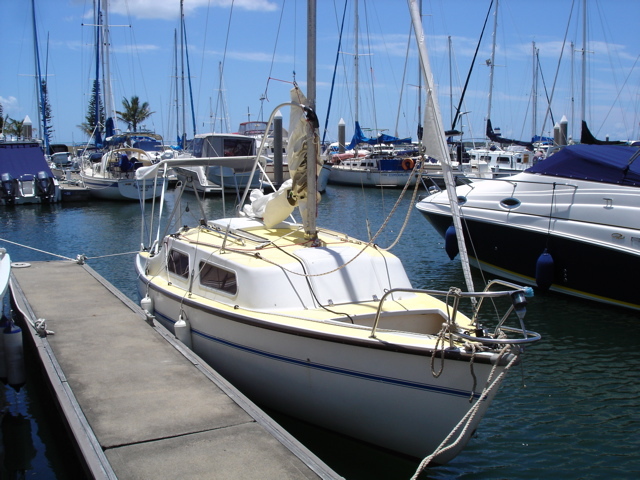 Here she is moored at Bayview Harbour. 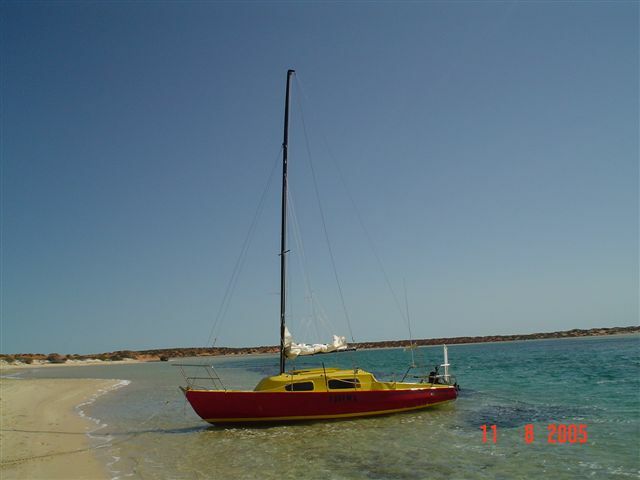 Mark and Linda Sewell's Parema is based in Shark bay WA. winds get a bit strong. 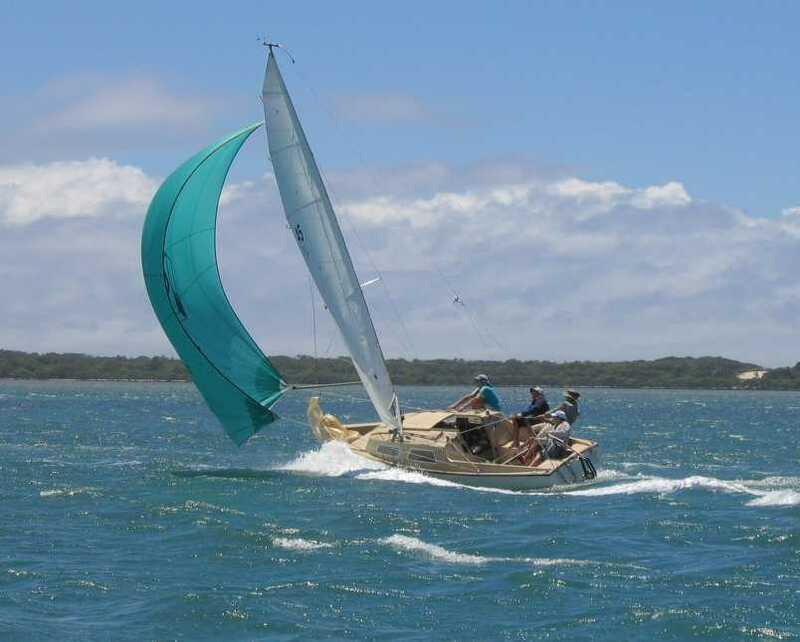 This is sailing in 25knots with two reefs in the main, and doing 6.5 knots. 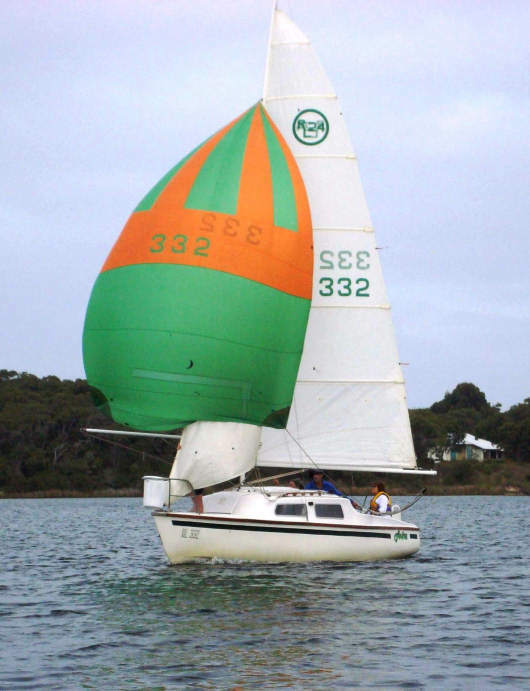 John Dines RL24 Mk 1 Sail No:238 used to be known as Remedy now restored and renamed Joka. 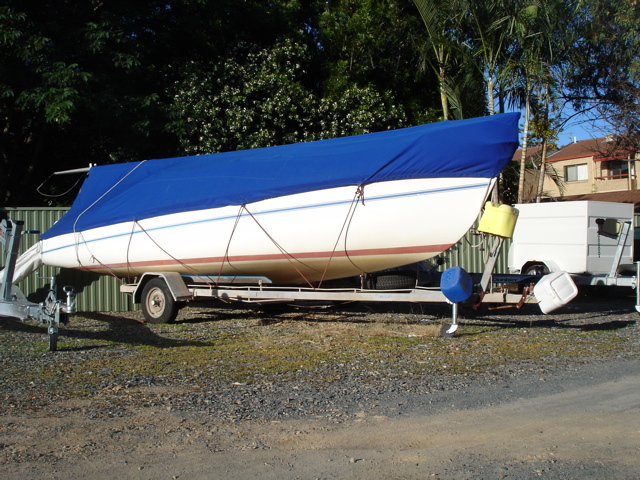 Still using old 16ft skiff main will buy new sails when the boat budget is healthy again. 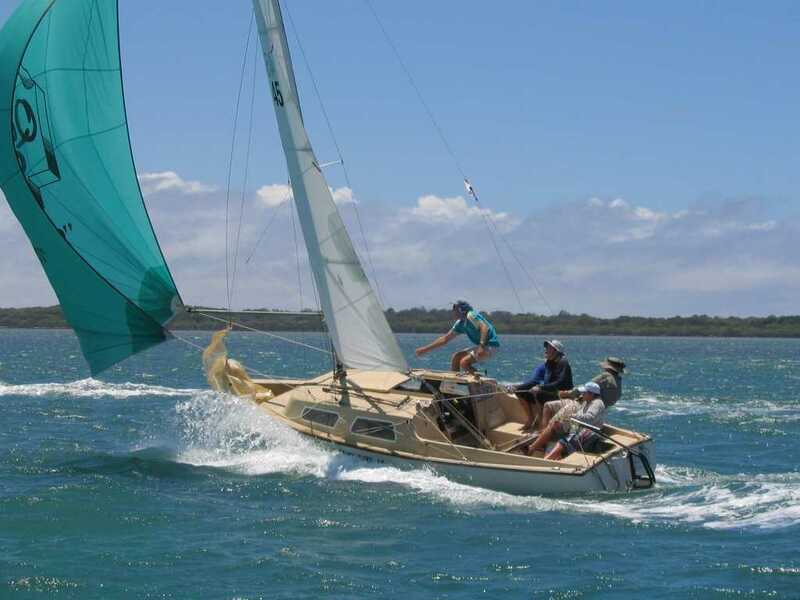 Racing & Cruising in the Great Sandy Straits QLD member of Hervey Bay Boat Club Yacht Squadron.